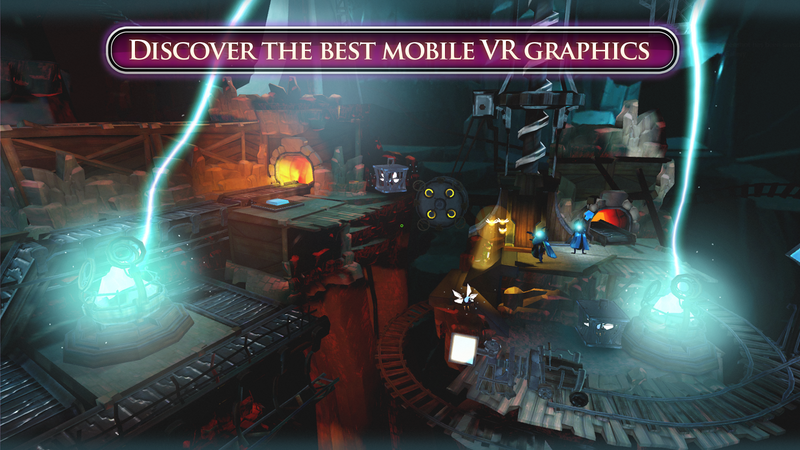 Twilight Pioneers is a totally free and polished Daydream title that shows off what VR on Android is capable of. 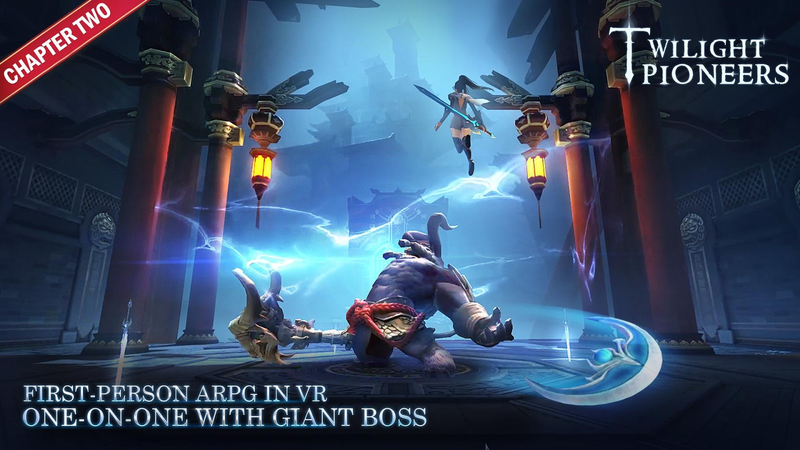 Unlike a lot of the free VR tech demos on the Play Store, this is a full-fledged action RPG, and it contains a story that isn't half bad either. 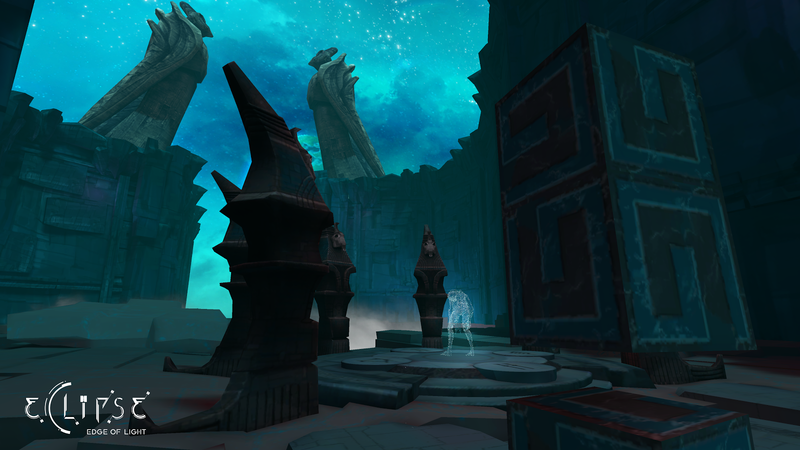 If you happen to be looking for an immersive ARPG for Daydream, Twilight Pioneers is definitely the top pick. 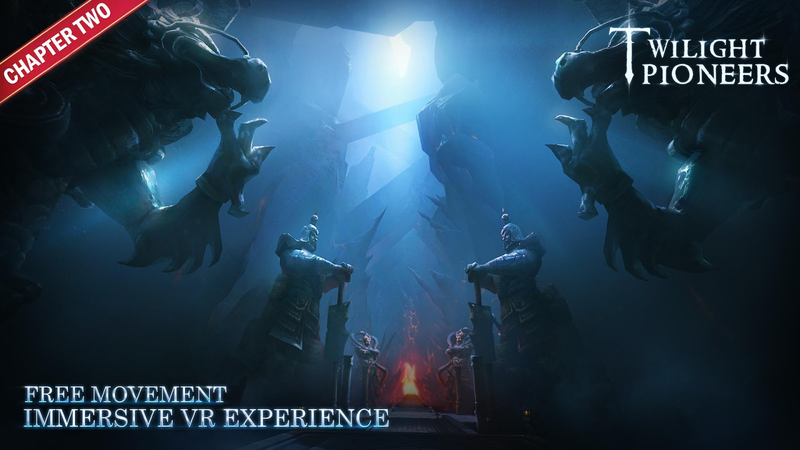 Twilight Pioneers is a first-person ARPG in VR by Netease. 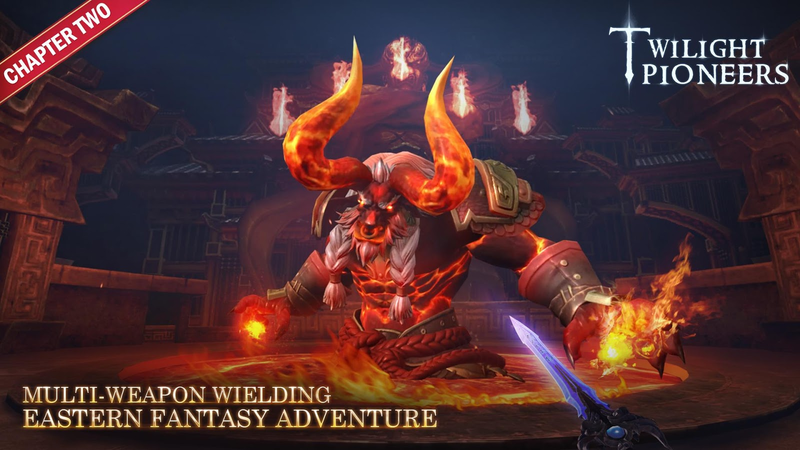 In this game, players are thrust into an Eastern-inspired fantasy world - a world they must save as the magic-casting and sword-wielding hero. 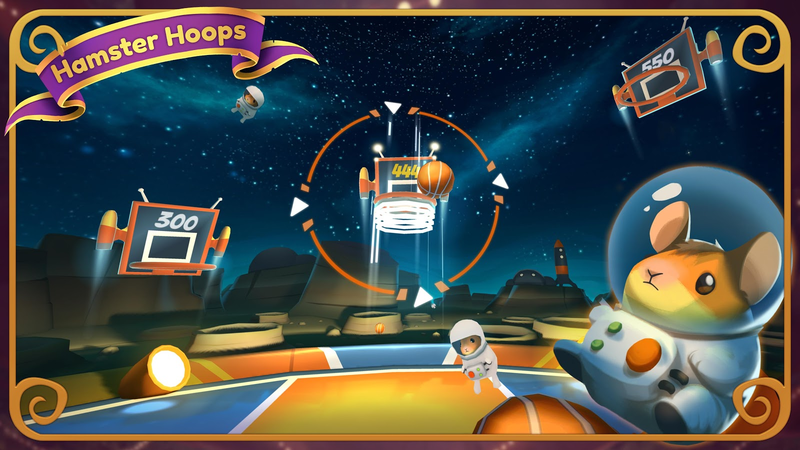 Developed specifically for Google Daydream, Twilight Pioneers utilizes to the full the Daydream controller and headset, allowing players to navigate the game freely from a first player perspective. Consider me a sucker for good downtempo electronica. Something that for me made Horizons stand out from the crowd almost immediately. 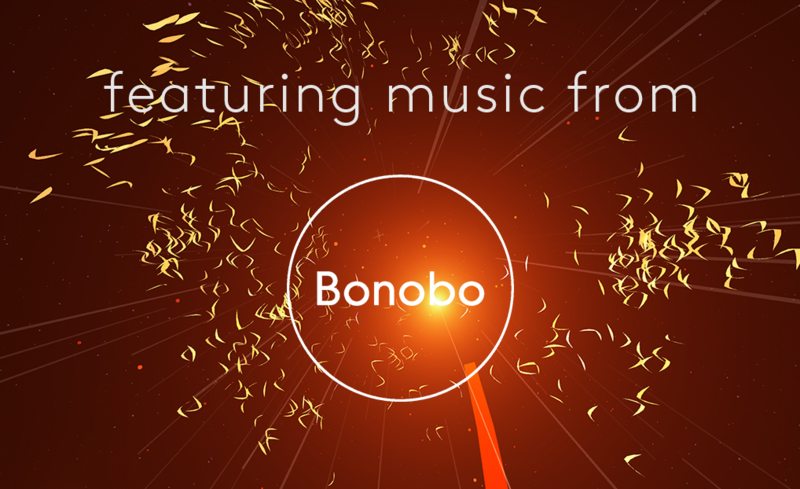 Not only does it include music from the hit English electronic artist Simon Green (better known by his stage name Bonobo), it animates some remarkable looking landscapes to the smooth sounds expected by any Bonobo fan. 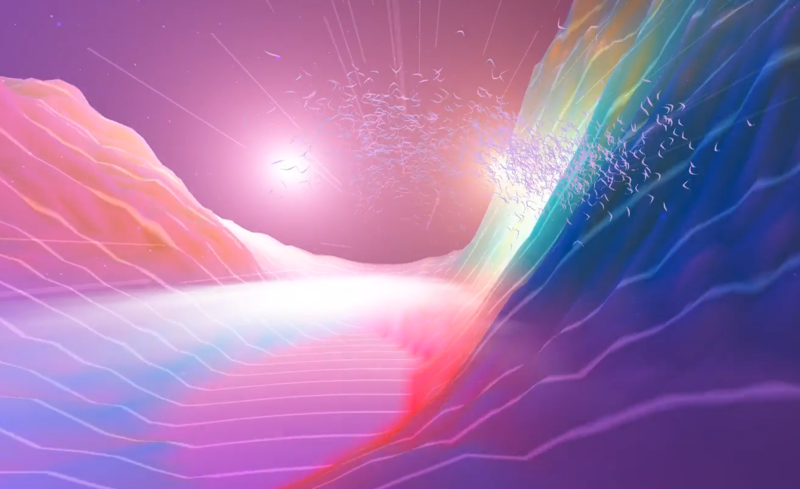 Think of Horizons as a music visualizer for the modern VR age. The Turning Forest first premiered at the Tribeca Film Festival back in 2016. 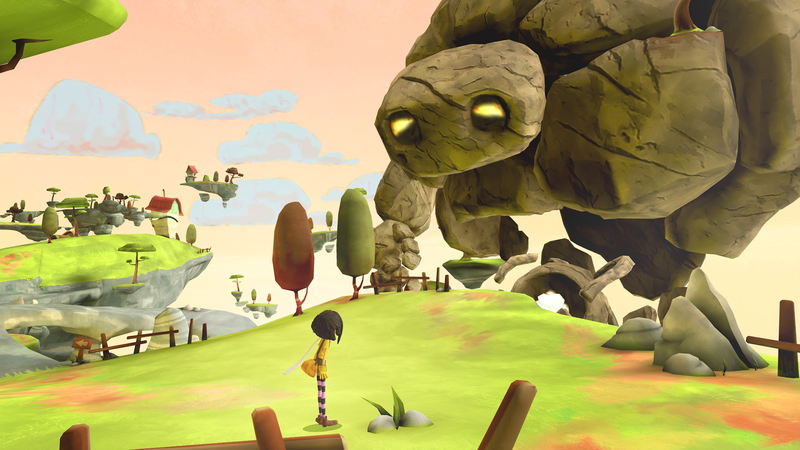 It has since been released as a Daydream game that tasks its players with following a giant creature to then join it along an odd and mystical journey. 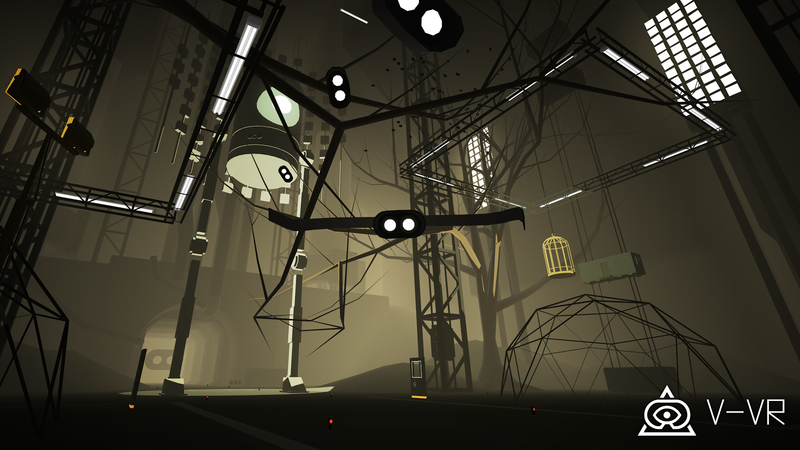 Mostly this plays out like a short visual story more than an interactive video game, but the trip is worth the short amount of time it takes to finish the game. 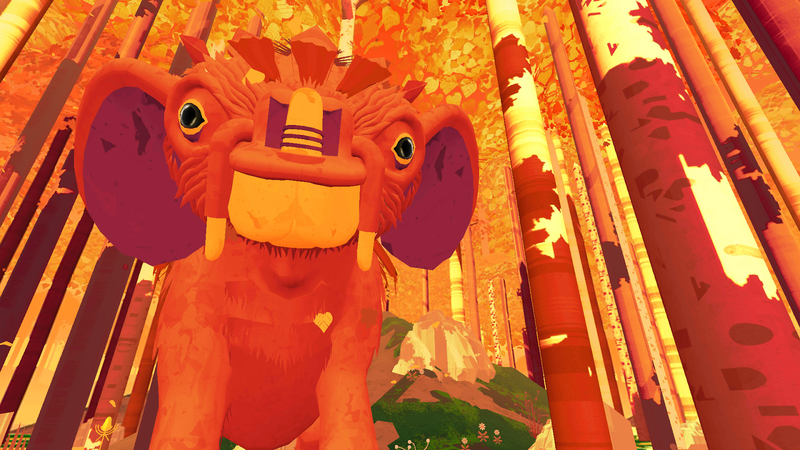 An interactive virtual reality fairytale for all ages with spatial sound. In a magical forest, a young child stares into the eyes of a fantastical creature and together they embark on an unforgettable journey. 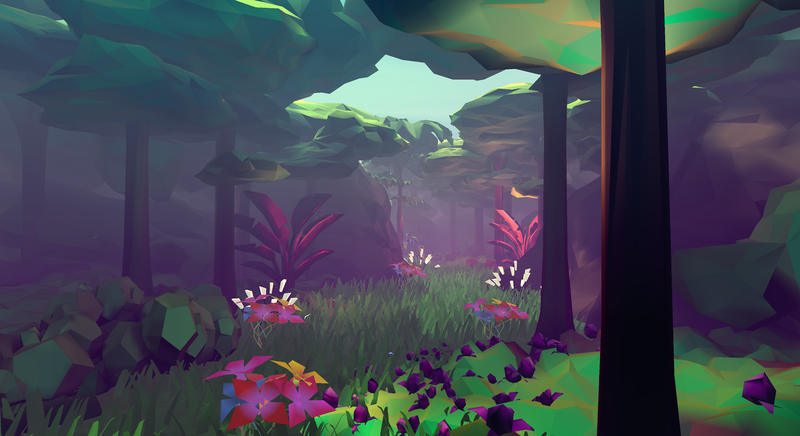 Since its premiere at the Tribeca Film Festival, The Turning Forest has been captivating audiences around the world with its award-winning spatial audio and delightful visuals. 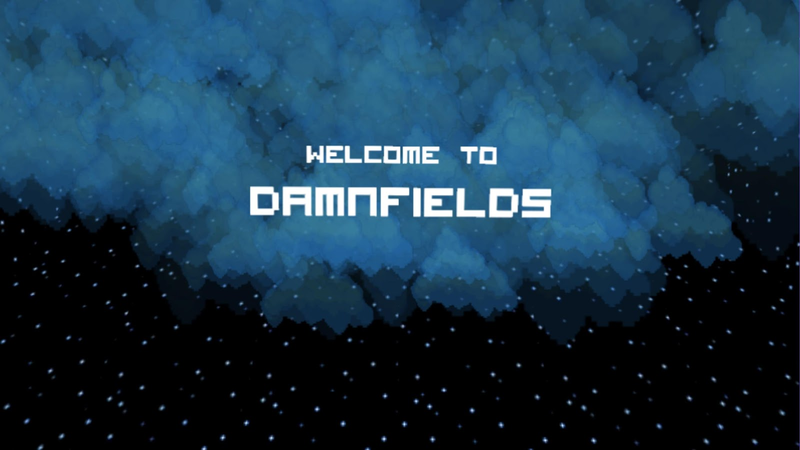 Damnfields is a challenging puzzle game with over 30 levels and 5 game modes. 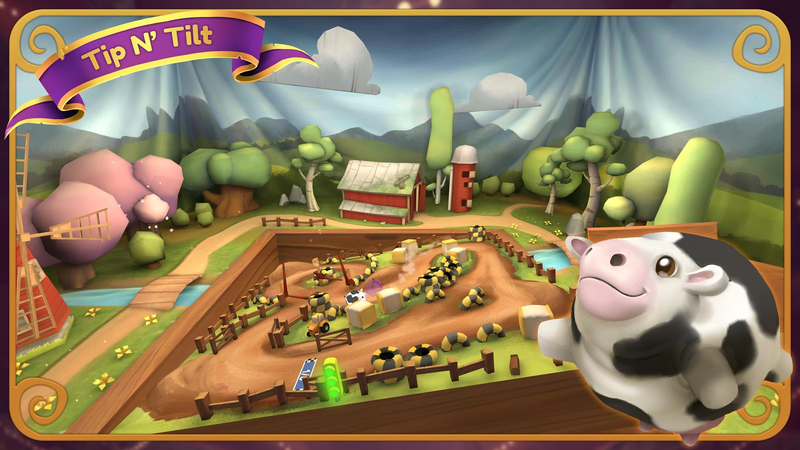 4 of those modes are mini-game challenges, and the 5th is the primary mode that you will spend the majority of your time in. The gameplay is easy to grasp yet hard to master. 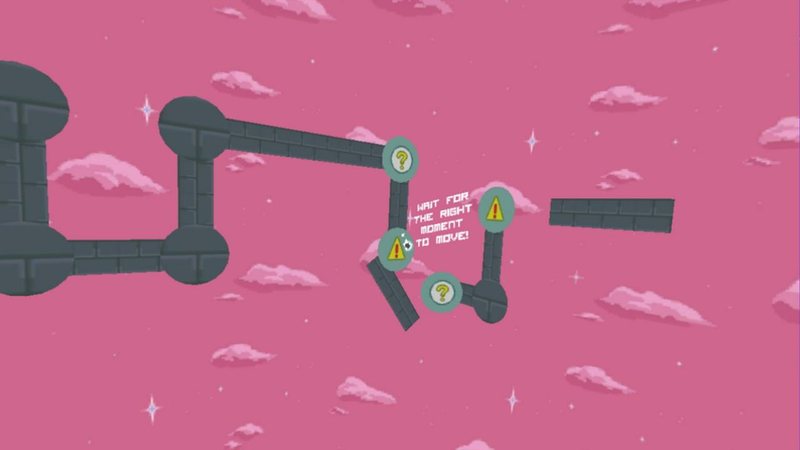 Essentially you guide a dot across plenty of skinny platforms in order to make it to the end of the stage. 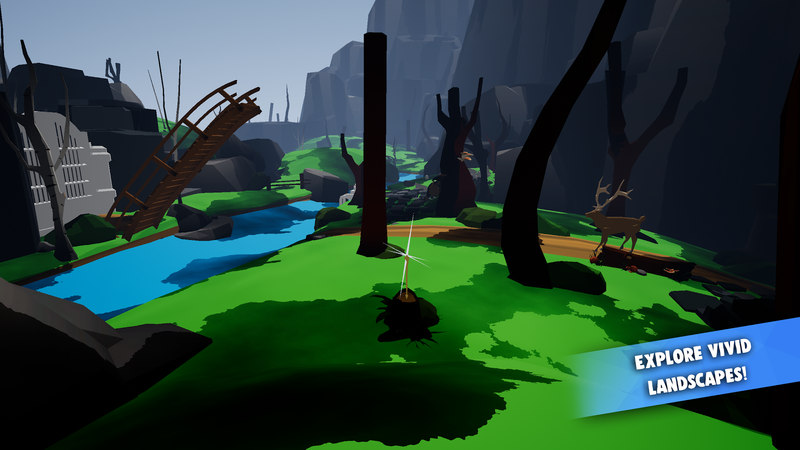 If you fall off the path, it's game over, so it will take precise controls to make it through unharmed. 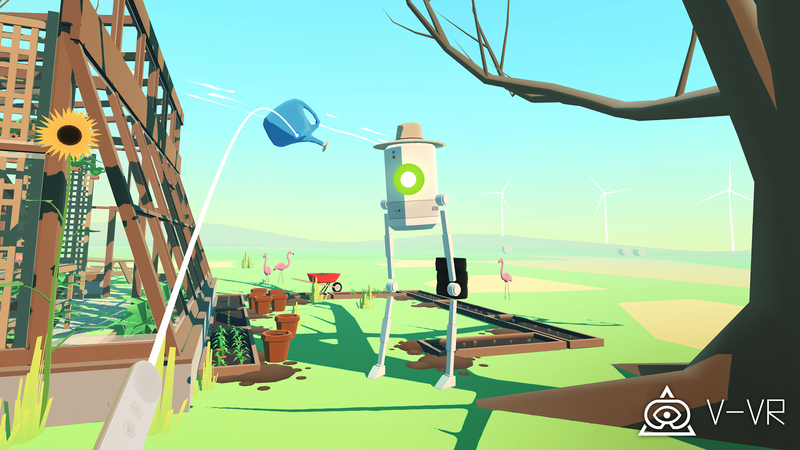 Originally created for the Oculus Mobile VR Jam 2015, Damnfields was one of the 37 finalists and it's now available for Google Daydream. 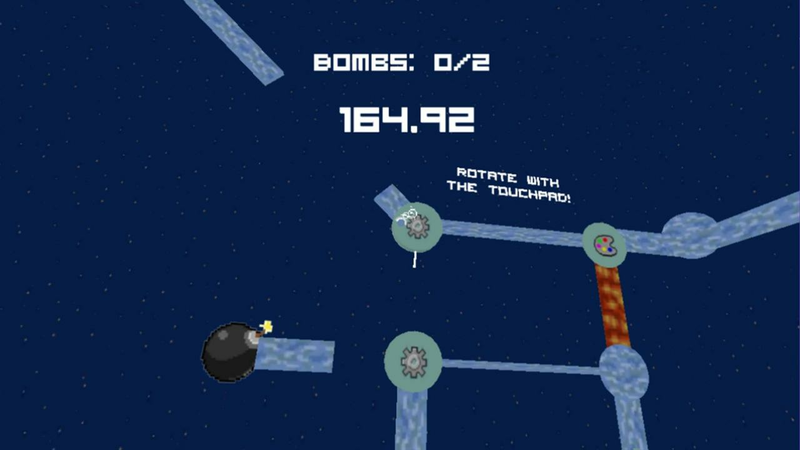 Inspired by 8-bit retro-games (in both art and music), the game features 4 mini-game modes and a main game mode. 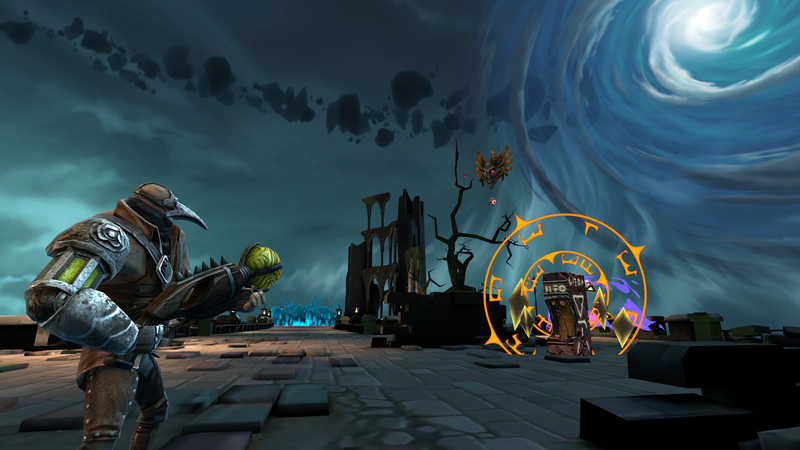 The Path to Luma - VR is a virtual reality focused puzzle game that takes the gameplay found in the original mobile title and displays it in a first person view so that you can experience what it is like to navigate the game's world from a more personal perspective. Best of all it is completely free to play. 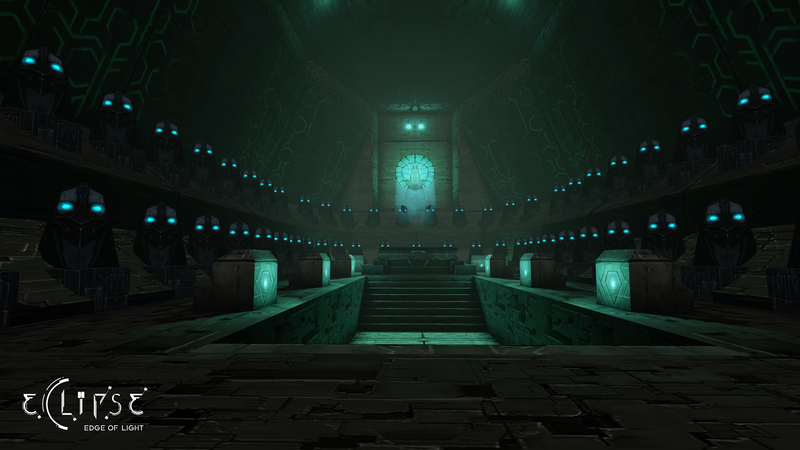 Based on the popular mobile game with the same title, you can now experience The Path to Luma in Virtual Reality. 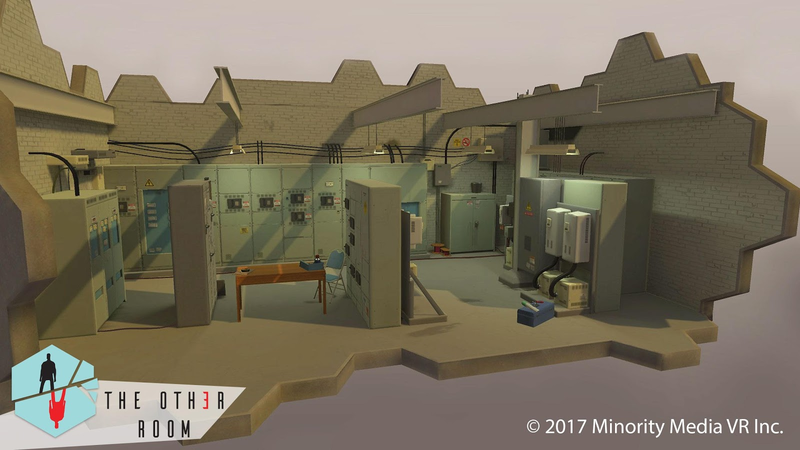 Play the role of SAM, our galaxy-traversing Sustainability Augmentation Model, in this first-person VR puzzle game. 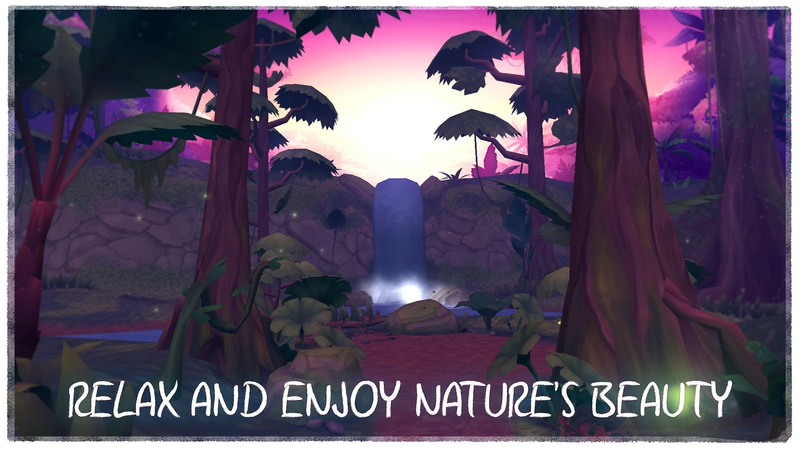 Explore a wondrous world and use the power of clean energy technology to restore the planet to its former, sparkling glory. 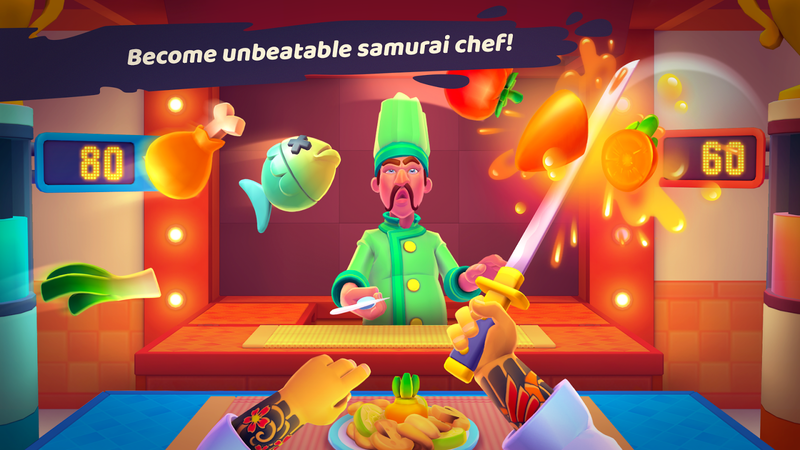 Samurai Chef plays a lot like a VR version of a more stylized and thought out Fruit Ninja that is mixed with some casual cooking simulator gameplay. 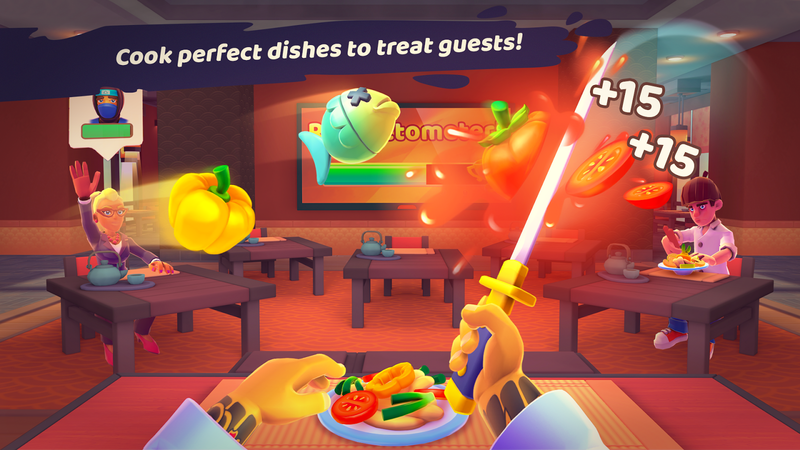 There are 11 weapons for you to collect, and 10 chef opponents to leverage your slicing skills against. 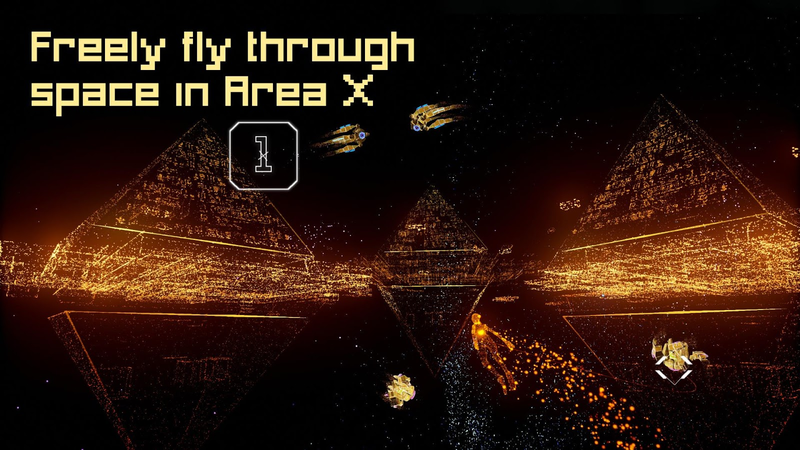 There are also 4 game modes to explore. This way players won't get burnt out from a lack of content. 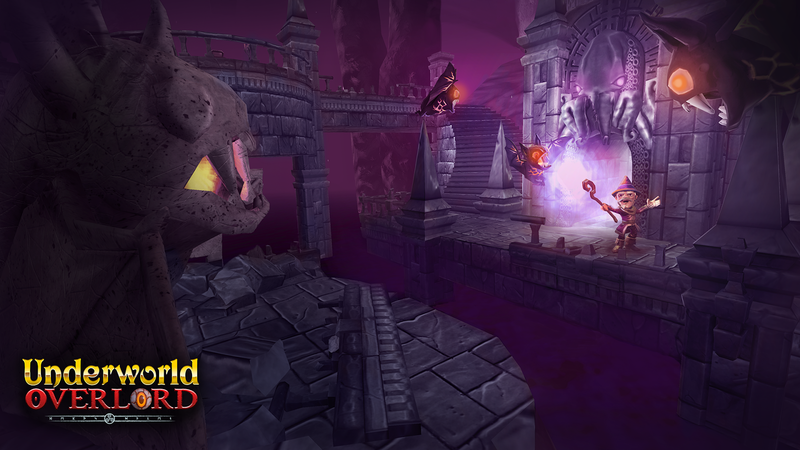 Welcome to the world dominated by the art of sword. Even if you are a restaurant chef... Especially if you are a restaurant chef. 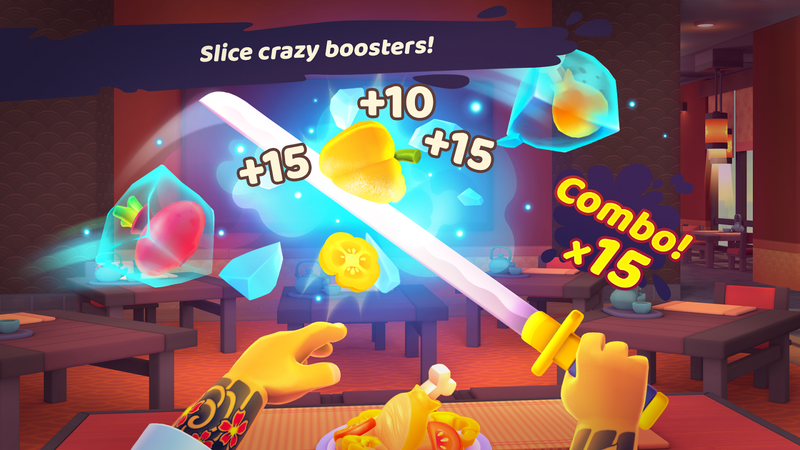 It's time to grab a katana and slice as fast as you can to make excellent dishes. 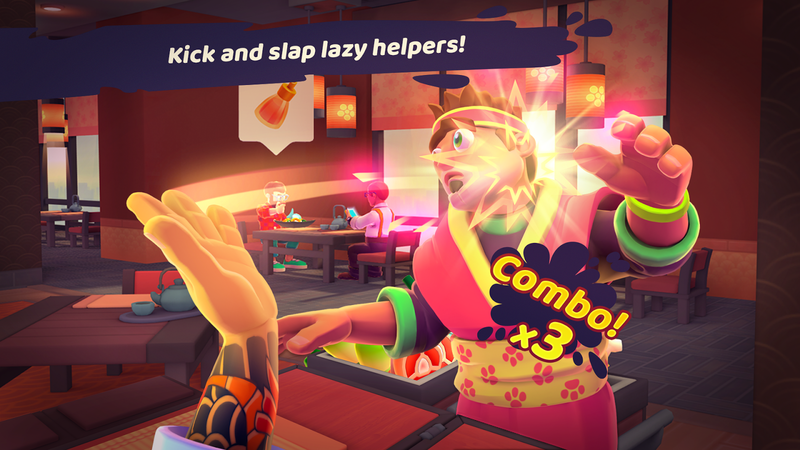 You won't be alone in the kitchen, but be ready to kick, punch and slap your lazy helpers. 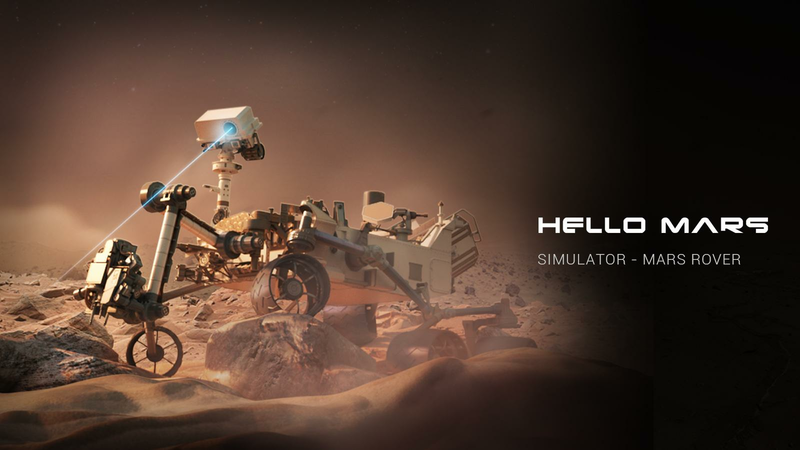 Hello Mars lets you experience a Mars landing sequence in VR with real-time rendered 3D graphics and spatial sound effects that bring the whole thing to life. 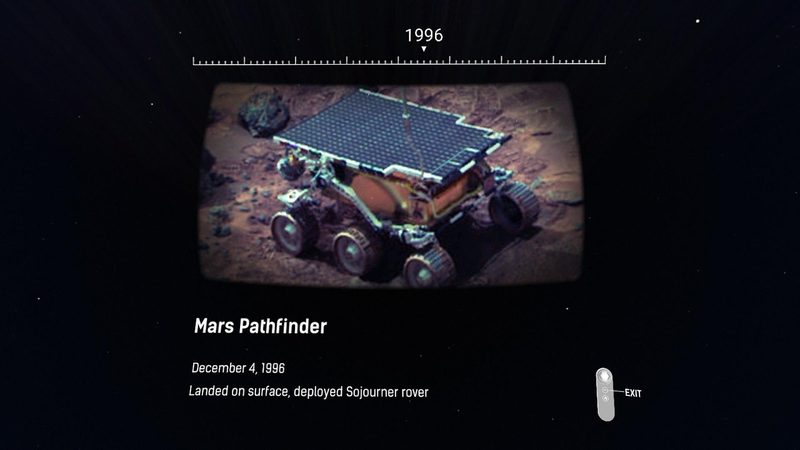 Its creation is strictly based on NASA’s public data and research to make for the most realistic experience possible. 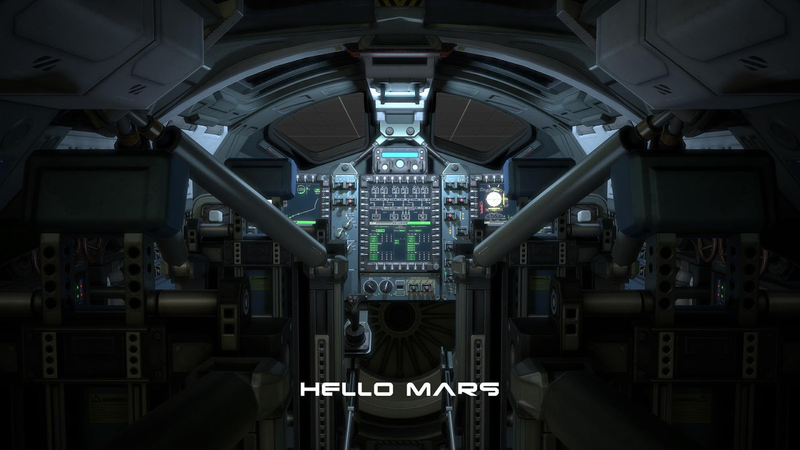 This way you can feel what it is like to be a space pilot by taking part in this accurate landing simulation game. 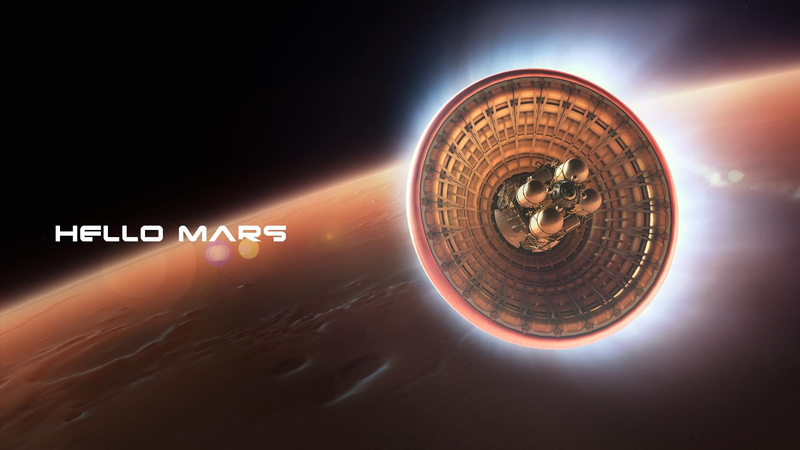 Hello Mars is the best way to introduce & showcase VR to your family and friends, a “Must have” Daydream app for all space lovers. 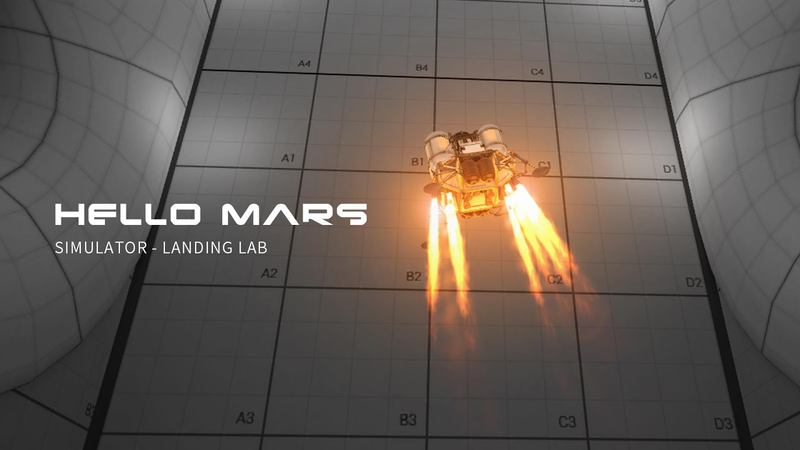 All 3D data & landing procedures of Hello Mars were created strictly based on NASA’s public data & research. 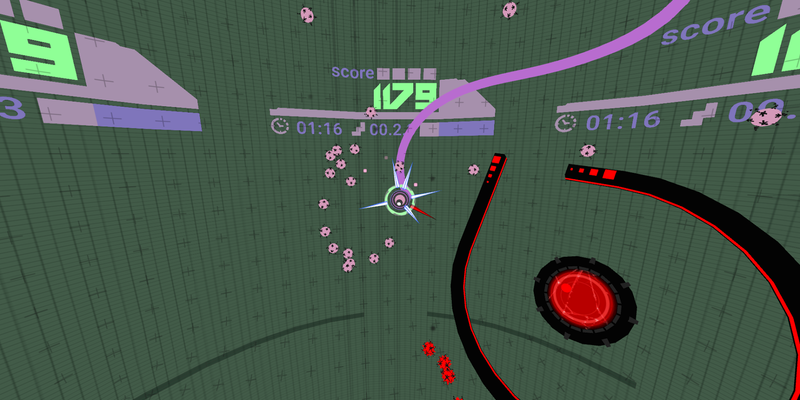 Virush is a frantic arcade game that uses all of the 360° space around you to its advantage. 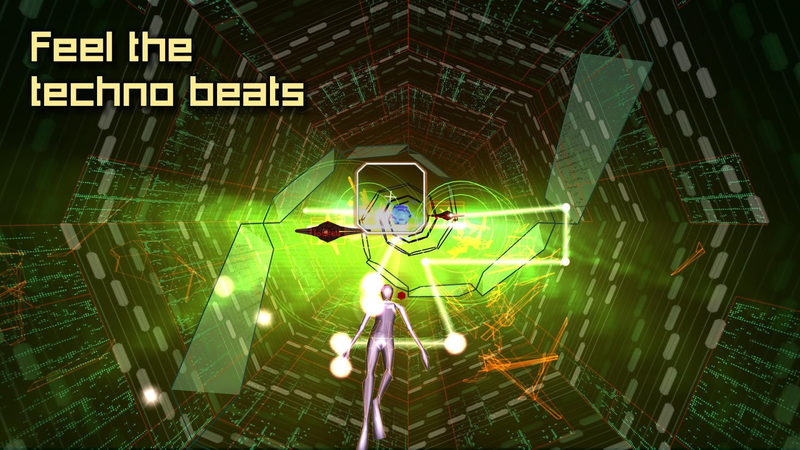 The graphics are simple enough to understand the action without any confusion, which is helpful for such a fast-paced game. 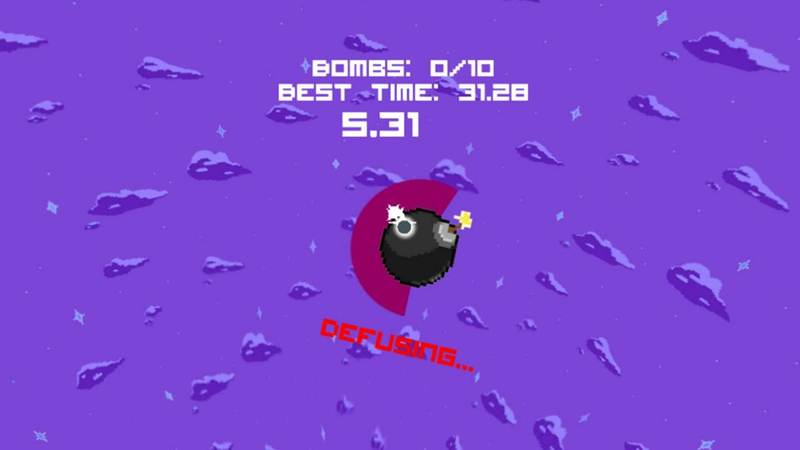 The gameplay works by having you destroy all of the viruses surrounding you in the game's world. 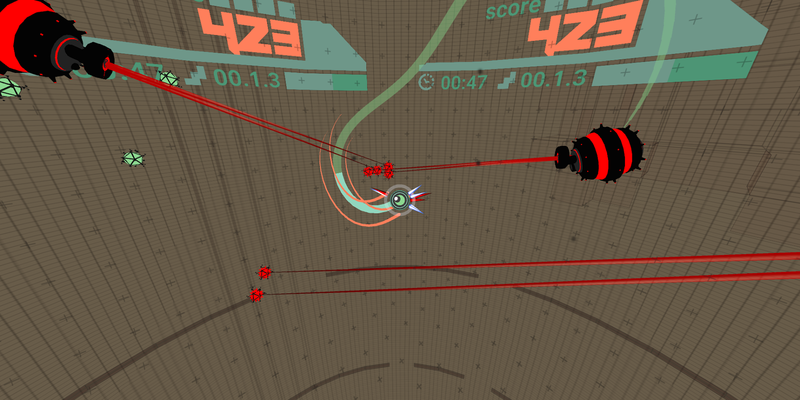 Think of a 360° version of the classic Nokia phone game Snake, but way more hectic. 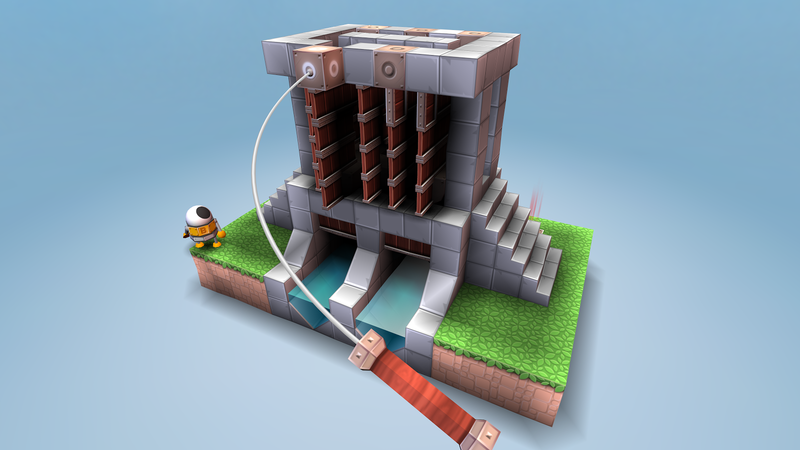 The standard version of Mekorama came out for Android in May of 2016, and here's a Daydream-enabled VR version that was released shortly after. 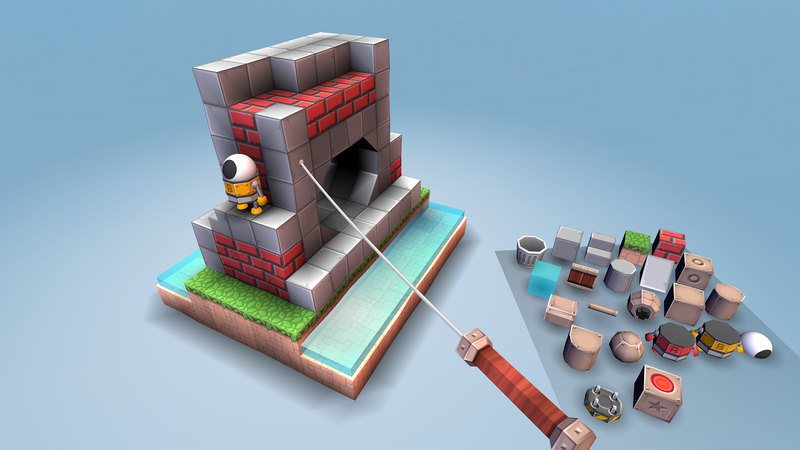 The game owes a lot to stylish puzzlers like Monument Valley, but the 3D interface allows for some more interesting perspective tricks and a stage building mode with an online gallery. 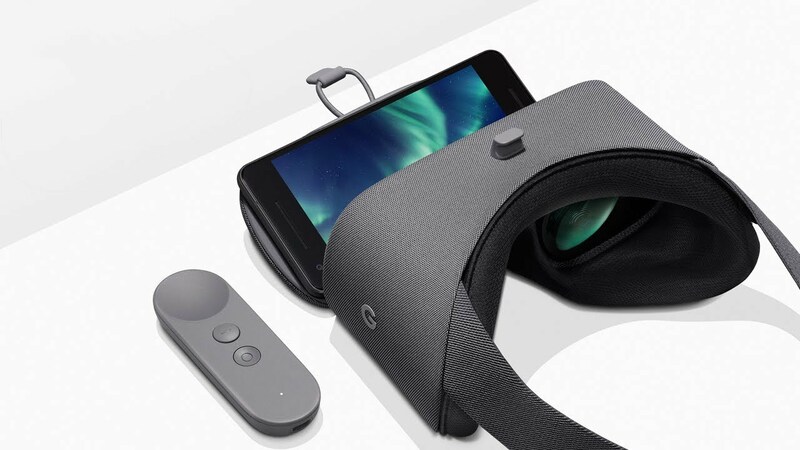 The latter should be especially interesting on Daydream, thanks to the intuitive virtual tools and Daydream controller. Meet an endearing little robot, named B for its bumbling movements and yellow black paint job. 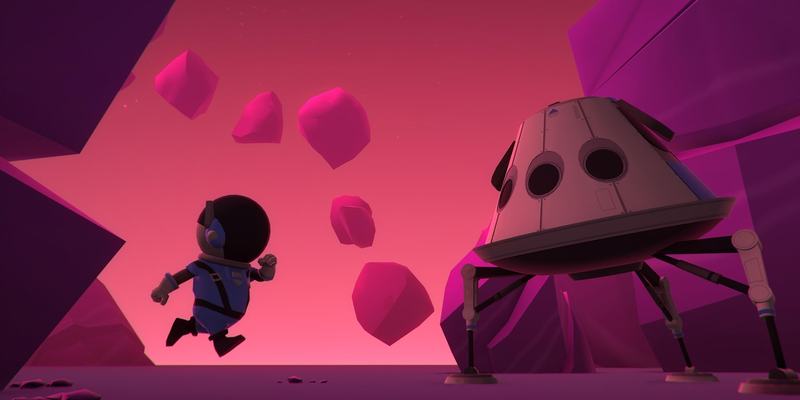 A mechanical failure leaves B stranded in a world of puzzling dioramas. 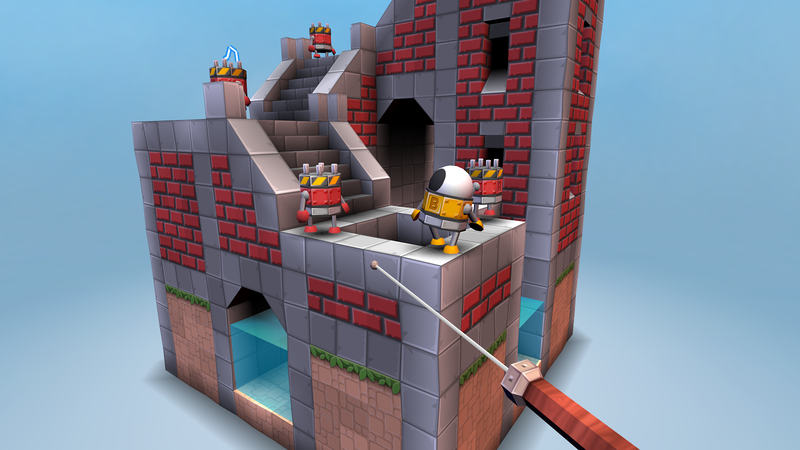 Can you help the tiny robot find its way home? 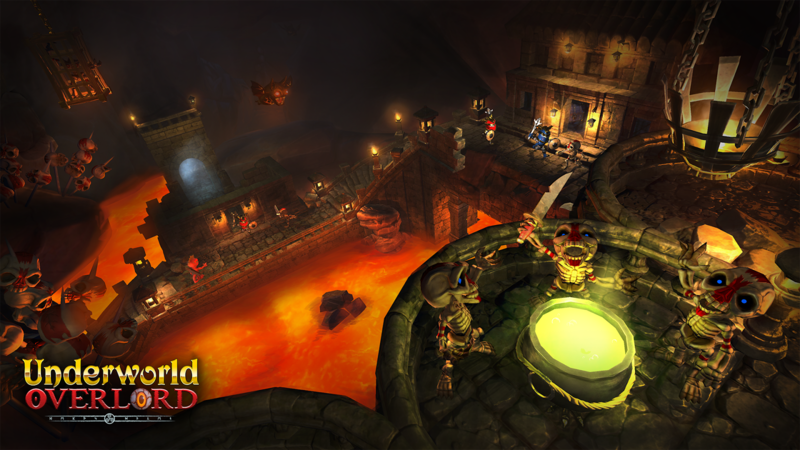 In addition to the game's 50 levels, there are thousands more online. 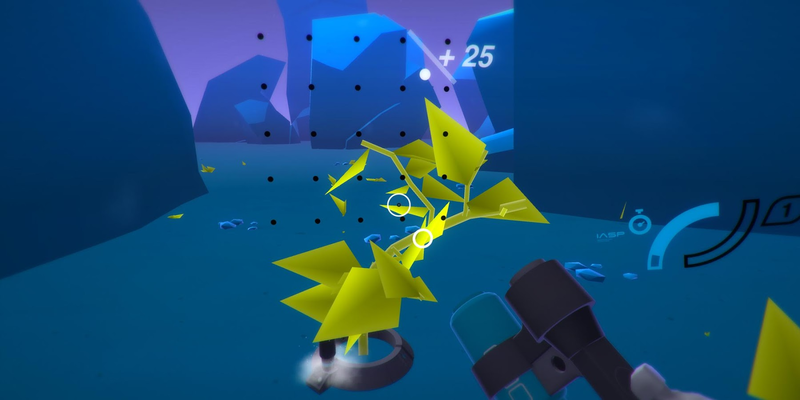 Spark of Light is a game that uses a virtual reality setting to its advantage by implementing puzzles that can only be solved through the medium. 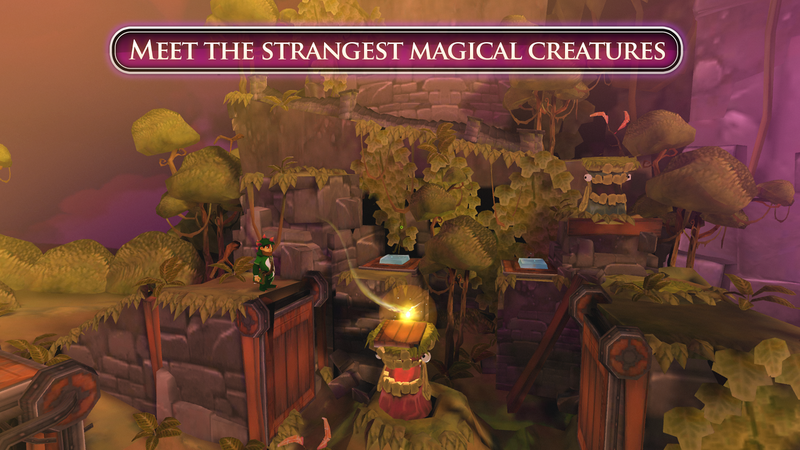 The graphics are drop-dead gorgeous, and the gameplay itself offers a fun and intuitive puzzle experience. There is even a Gear VR version, for those that have invested in Samsung's VR platform. Enter a beautiful Dreamscape and bring back the light. 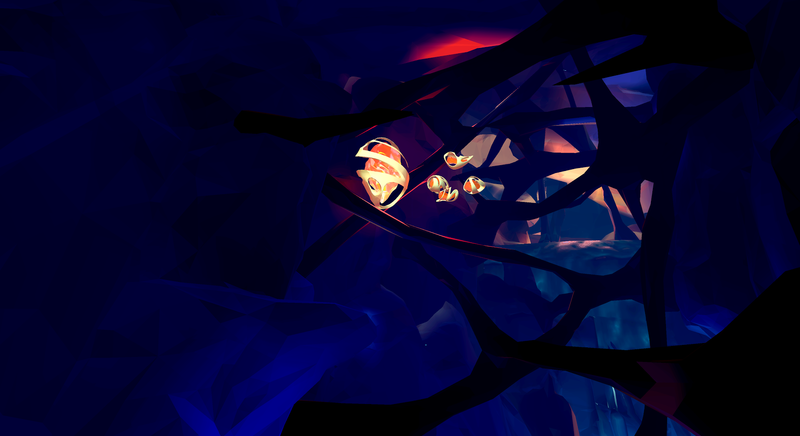 Help Nerow by manipulating his world with environment-puzzles designed specifically for VR. 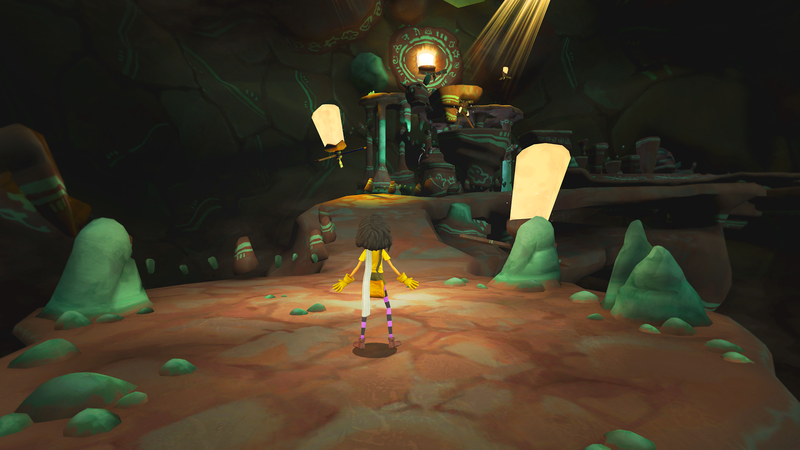 Search for hidden fireflies to guide Nerow and solve the mysteries of the stolen light to help him on his quest and rescue the Sun-bug. 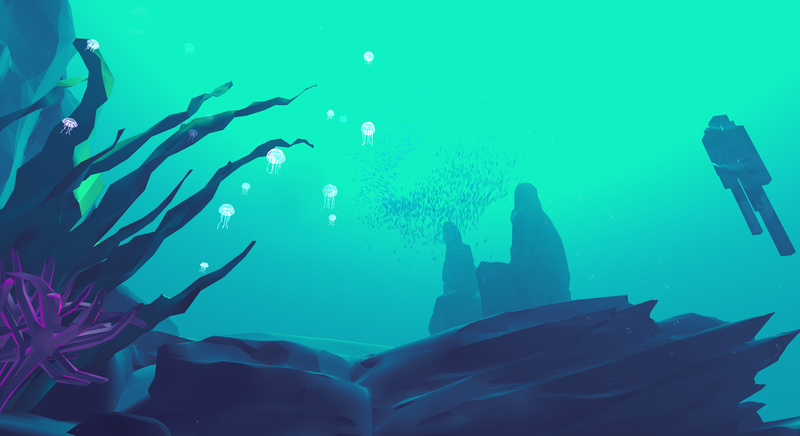 Flutter VR is a casual and relaxing Daydream VR game. 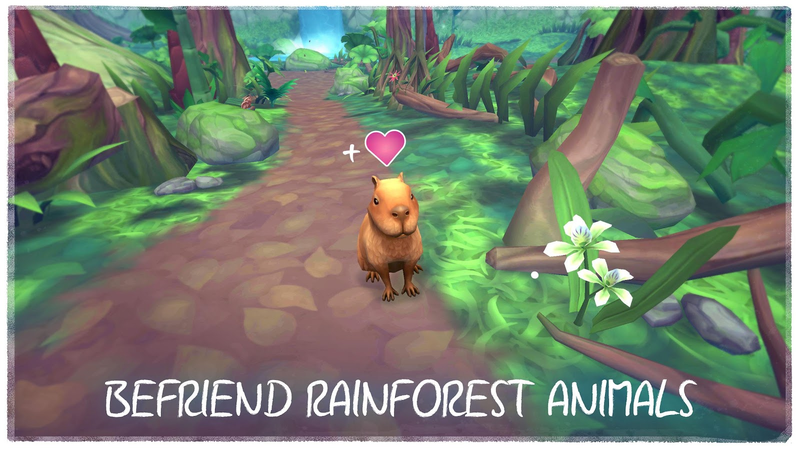 It takes place in a digital rainforest filled with 15 different creatures to discover. 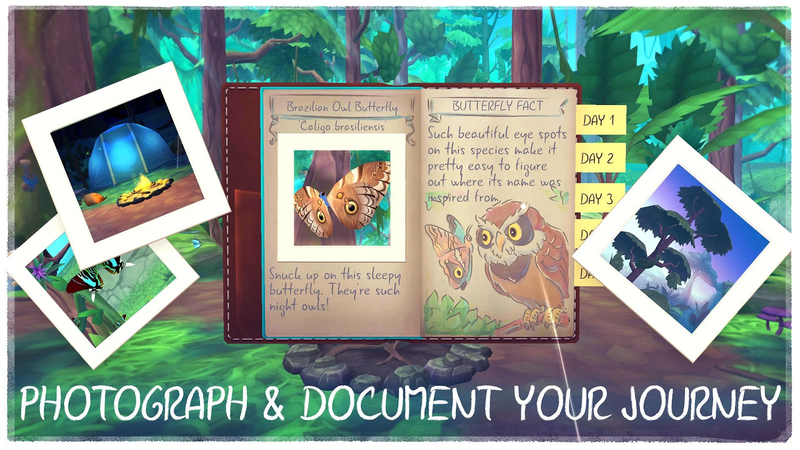 You get to experience a day and night cycle while exploring your surroundings, and you can even catalog the different animals you come across. 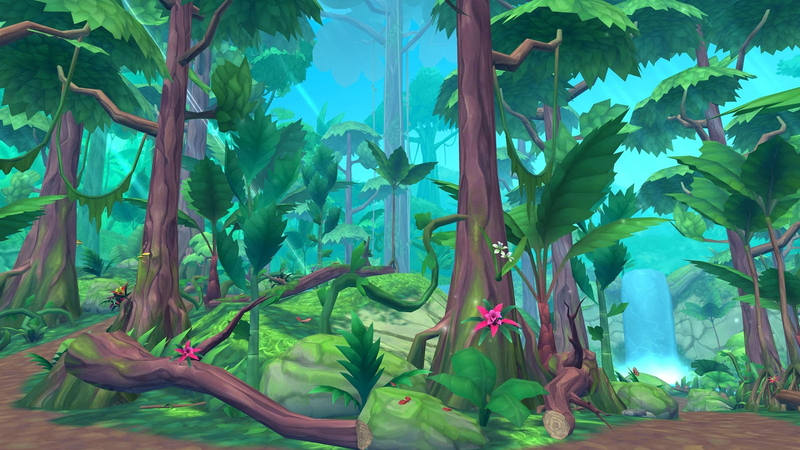 Your ultimate goal is to escape this rainforest, but that doesn't mean you can't enjoy the scenery before you leave. 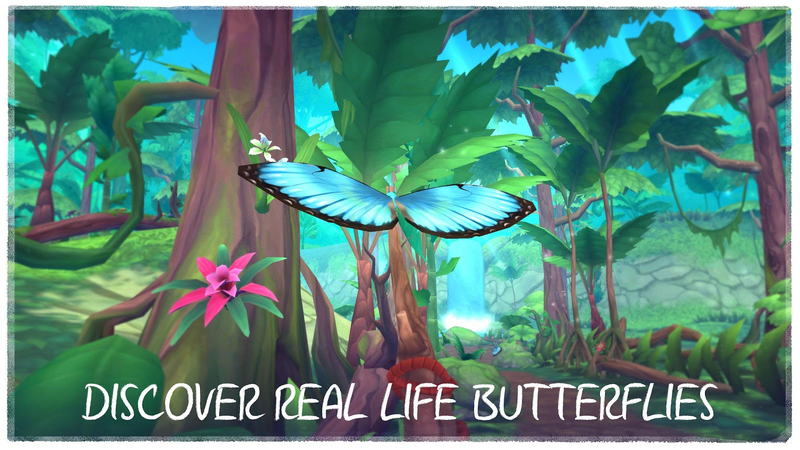 Explore the beauty of the rainforest as you discover real life butterfly species and meet animal friends in this relaxing game. 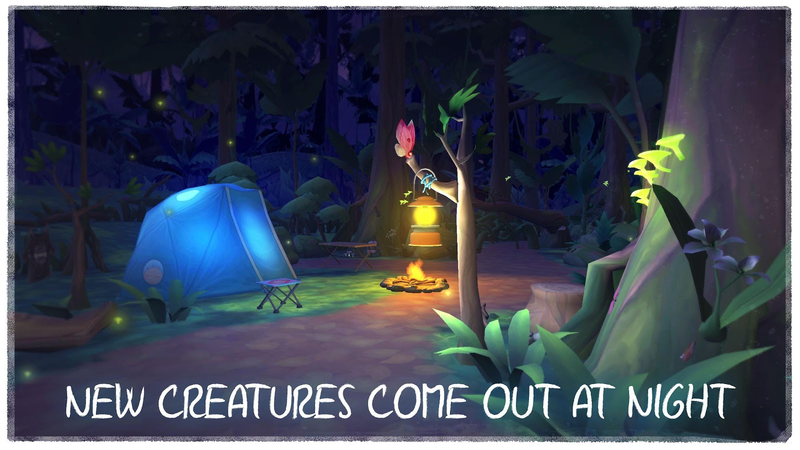 Over five days, see the environment change from day to night and rain to sunshine as you meet and discover new creatures. 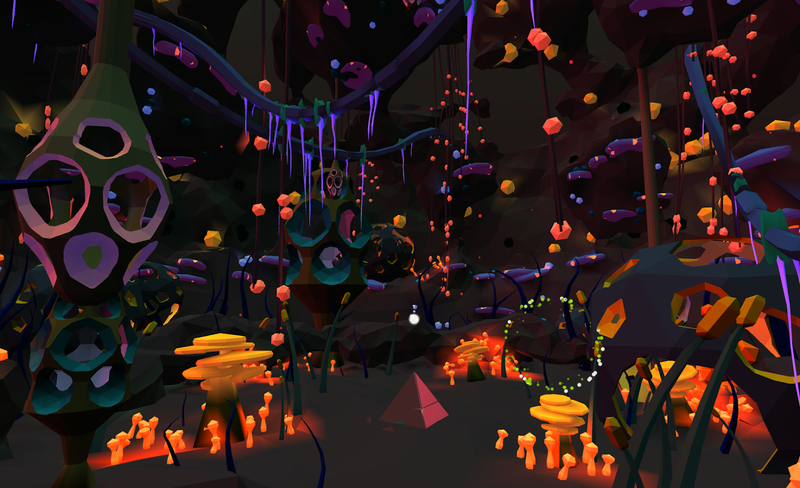 Initially, it isn't really clear why EarthShape needs to be in a virtual reality setting, but once you dig in you will see that the cross-stitch motion mechanics work wonderfully with the Daydream controller and fit quite well the whole alien horticulture theme. 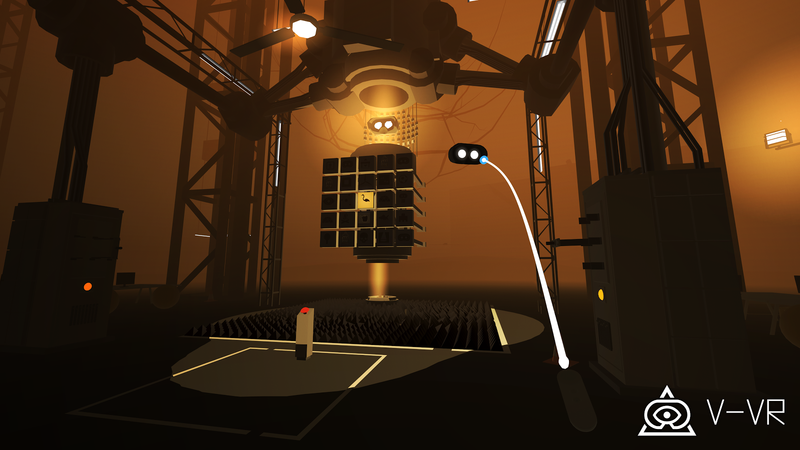 The graphics and zen atmosphere work together to create a relaxing experience that can be played just as casually as any touchscreen puzzle game. Sow the stars. 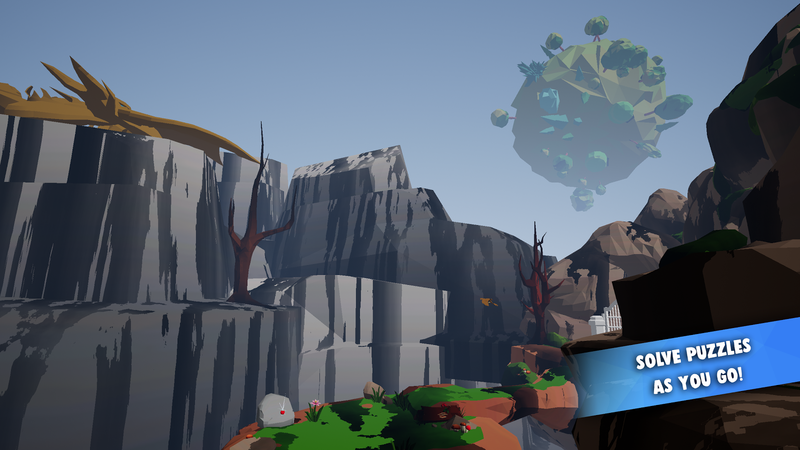 EarthShape is a point-and-bounce VR game of universal puzzle gardening. 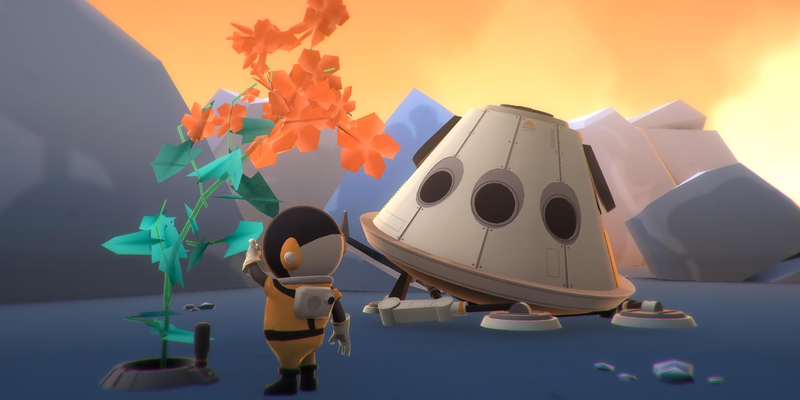 Using the latest technology, bounce your way around obstacles or maneuver for extra points, all to grow the brightest flowers for better worlds. Dig into the game’s 25 levels of campaign challenges or bounce around in free play mode to hone your green thumb. 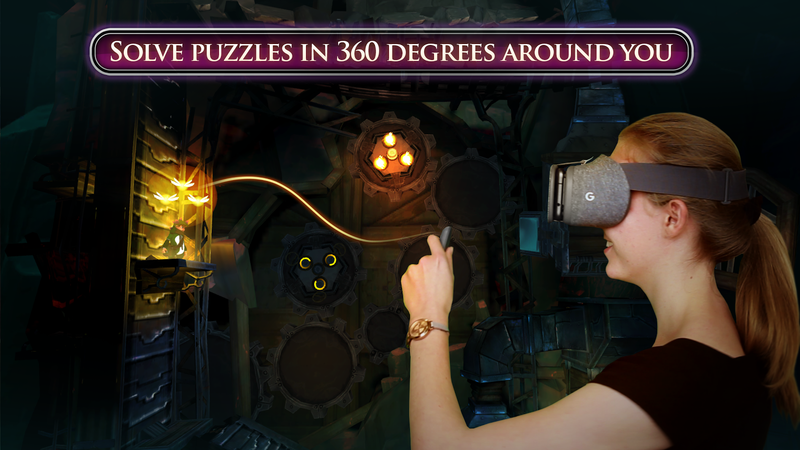 The Other Room is a puzzle solving "escape the room" game. 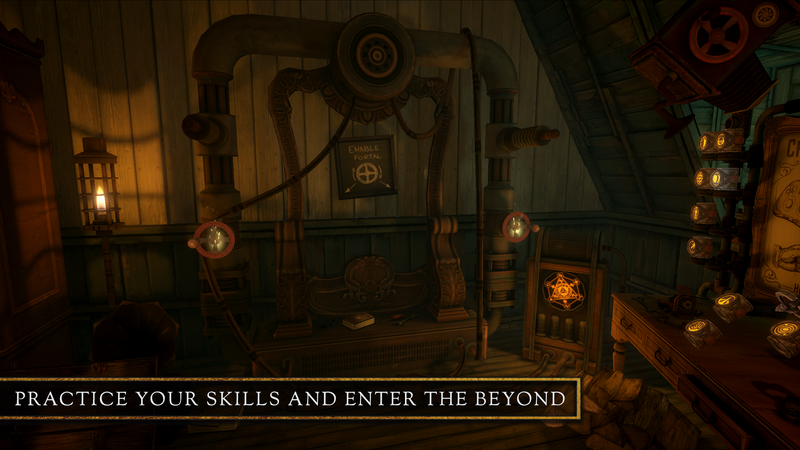 You are given clues in order to guide you along your journey as you try to solve puzzles in a few different environments. 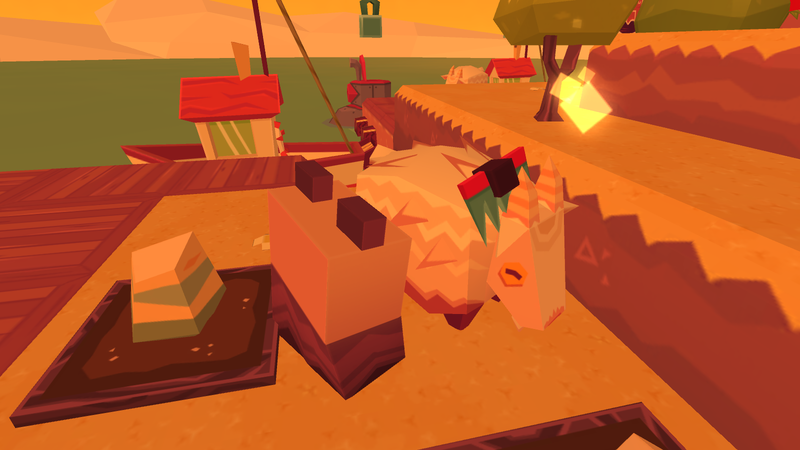 Sure, it is familiar gameplay setup that we have all experienced before, but what makes this title stand out is how quirky the story and presentation are. Weird would be one way to describe it, slightly disturbing is another. 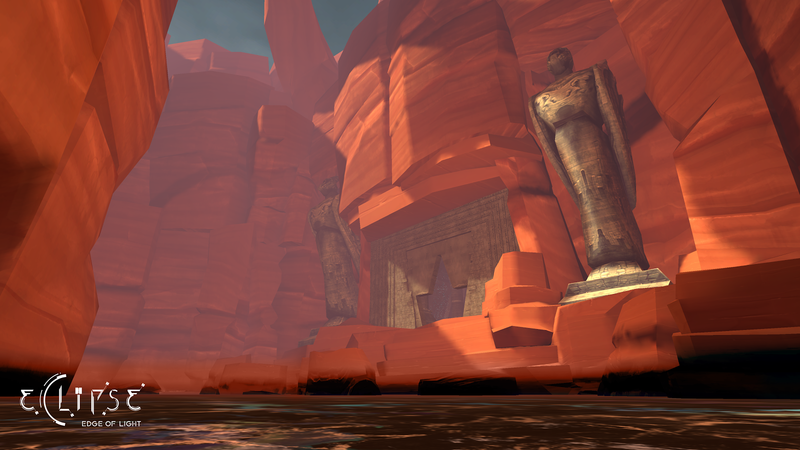 While it never gets too out of hand, the experience of the game is what sells it, not the puzzle solving. 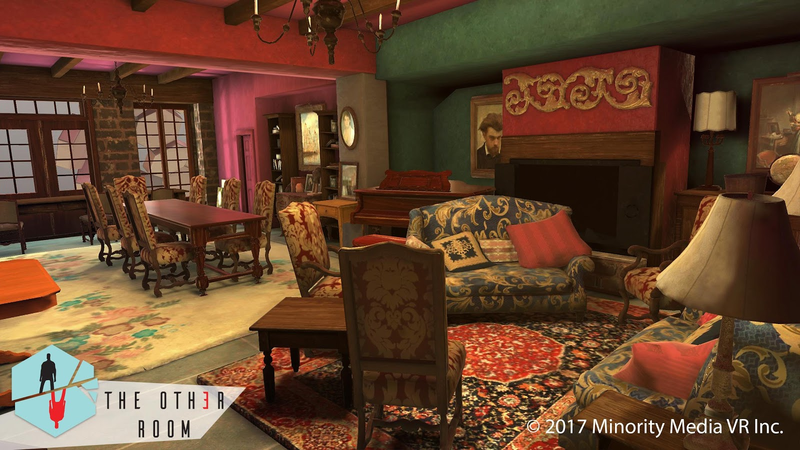 The Other Room is a VR escape room mind bender. 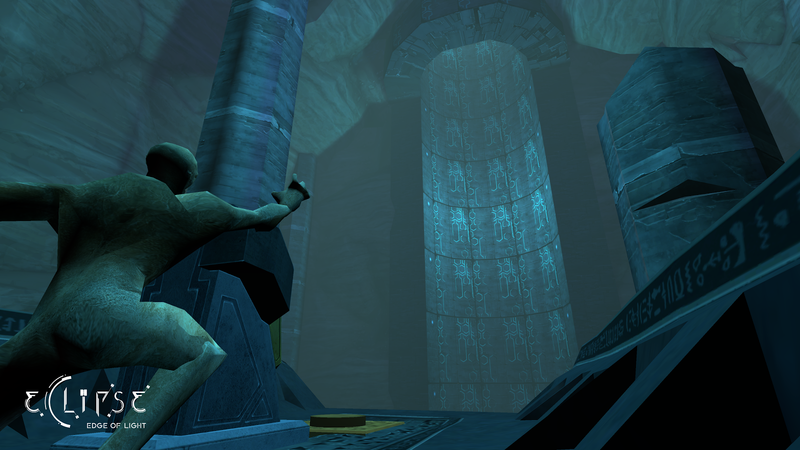 It pits you against a mysterious twisted genius. 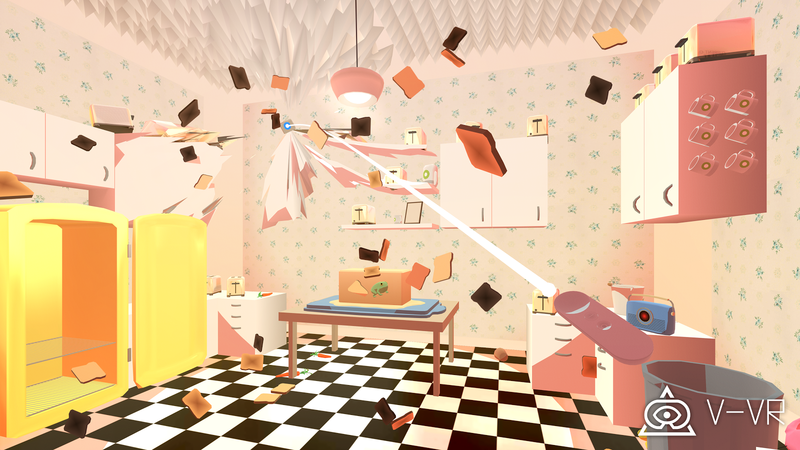 Use the intuitive Daydream controller to move within each room and recon your surroundings. 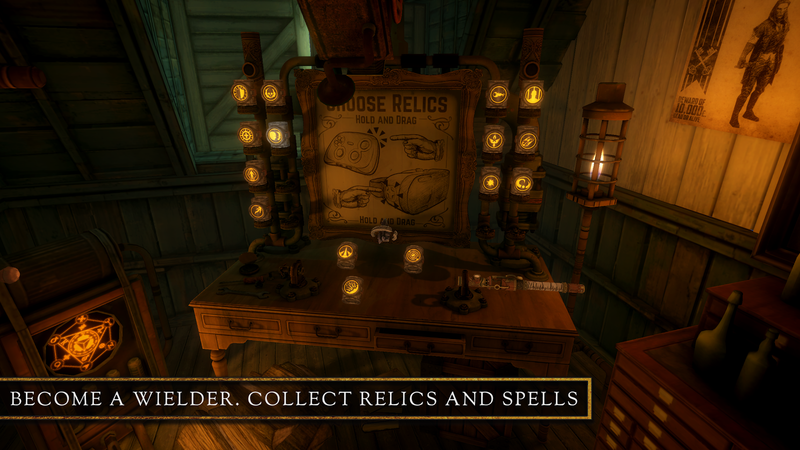 In Story Mode: grab, manipulate, and examine objects, then use them to solve puzzles that will bring you one step closer to uncovering your antagonist’s identity, origins, and master plan. 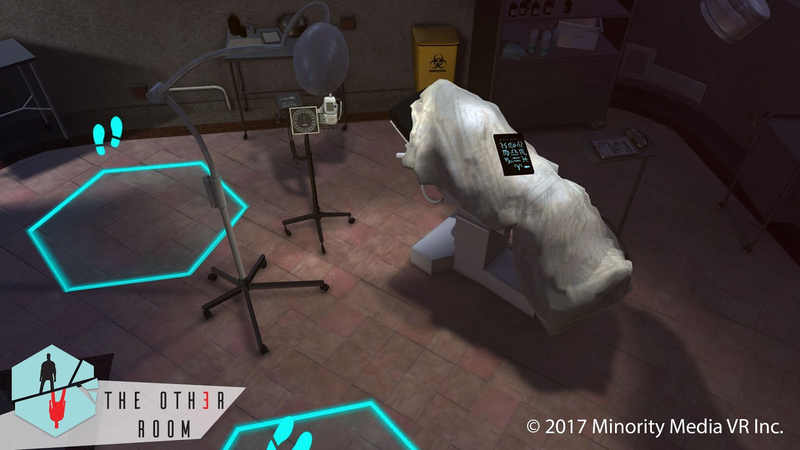 Developer: Minority Media VR Inc.
Hunters Gate is an interesting entry for Daydream, if only because it's the rare VR game that plays out in third person. 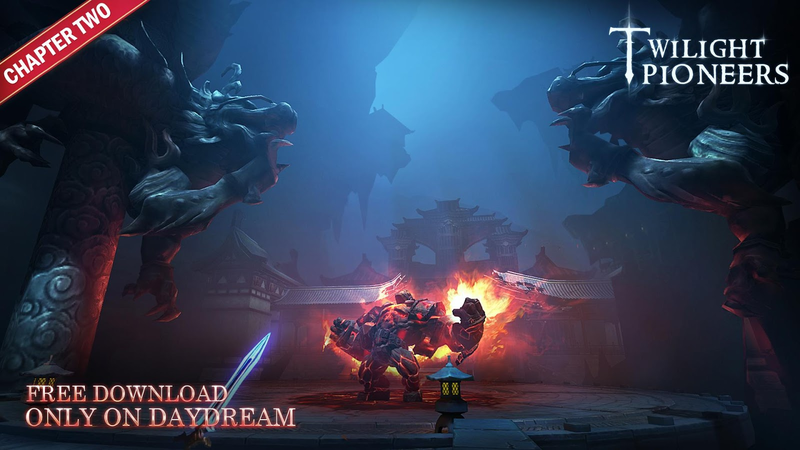 The gameplay is somewhere between a hack-and-slash dungeon crawler with a gothic theme and a bullet hell shooter. 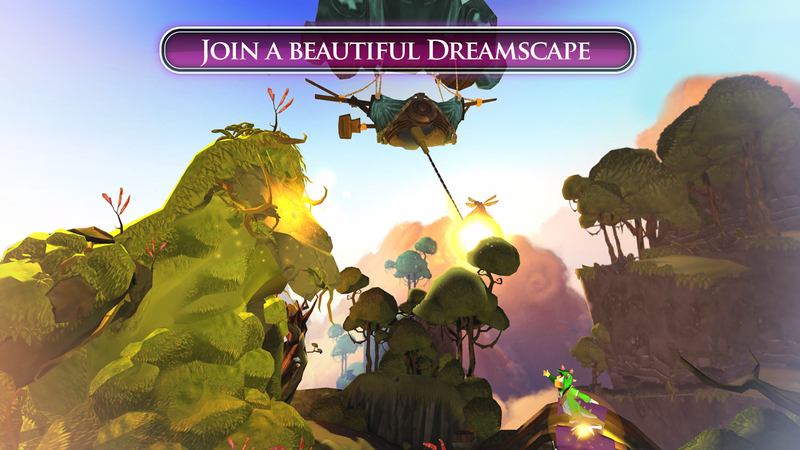 It also has local co-op play, assuming you have two Daydream compatible phones and two Daydream headsets handy. 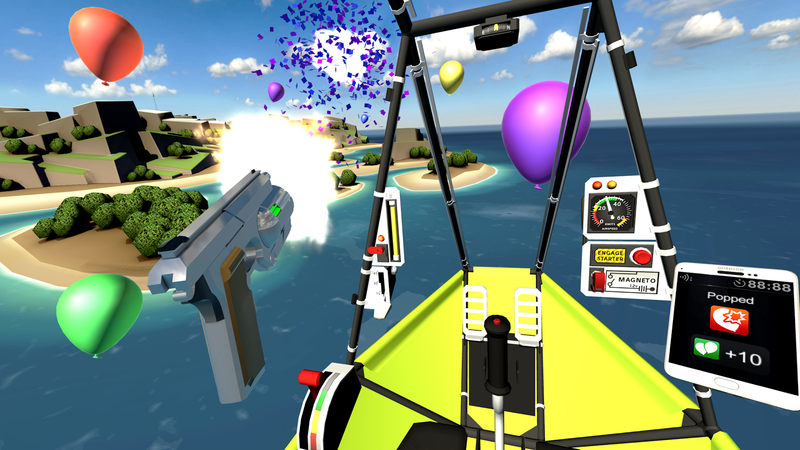 The classic shooter has been reinvented for a completely new arcade Daydream View VR experience. 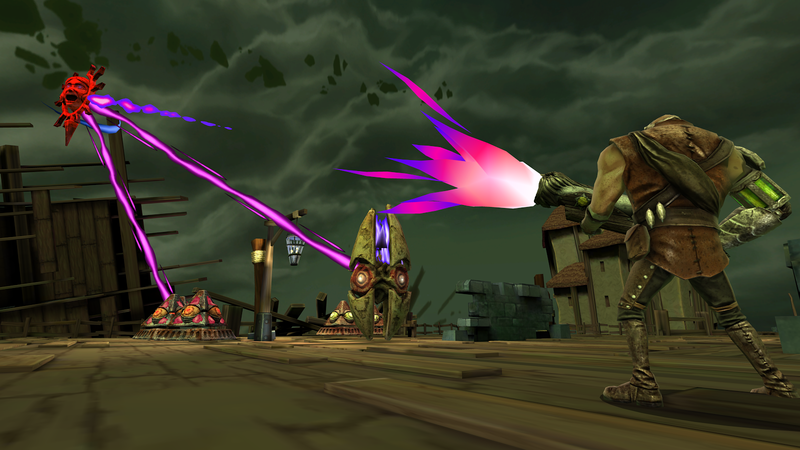 Blast your way through the town of Hunters Gate as either Forge (a lucky gunslinger) or Payne (a revenge driven mage) as you defend it from demon invasion - then take the fight to the demons by invading their home world. 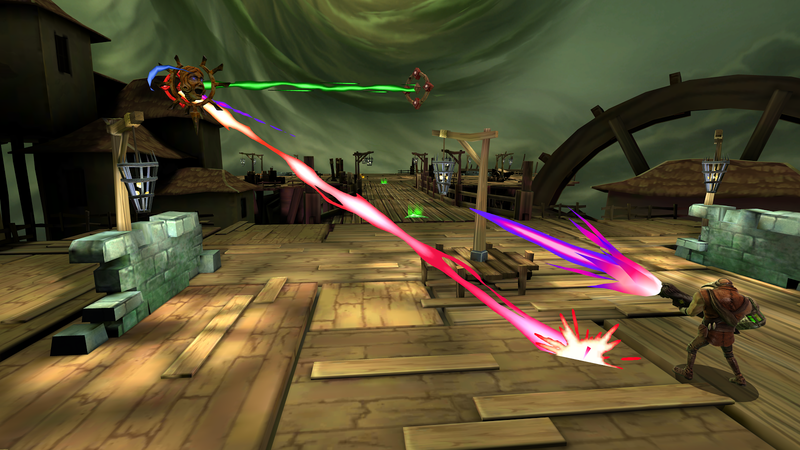 As a first-person, two-player online game in which neither character moves, Wands uses a pretty impressive mechanic. 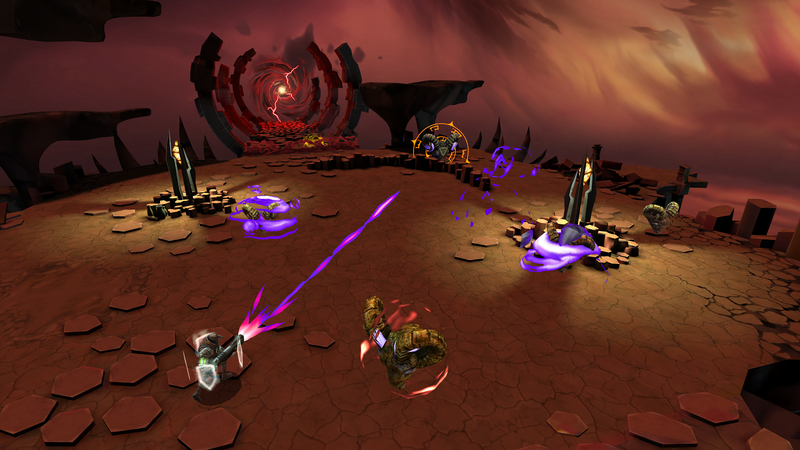 Both players exist in the game as wizards who will take turns hurling spells and defensively evading those coming their way. 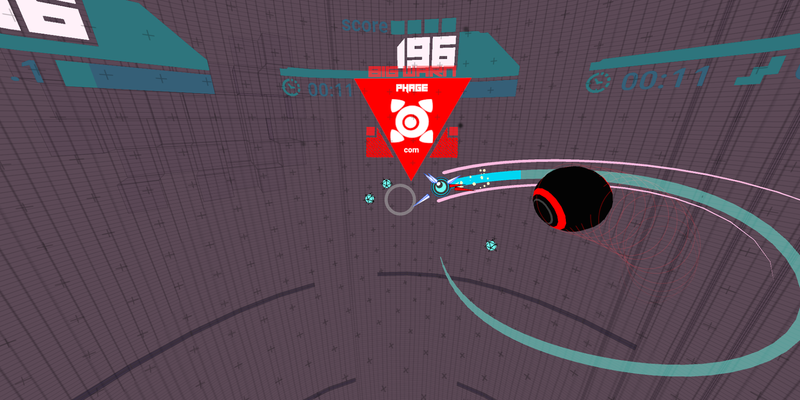 It is an interesting idea, though there is little in the way of full movement for the controls. 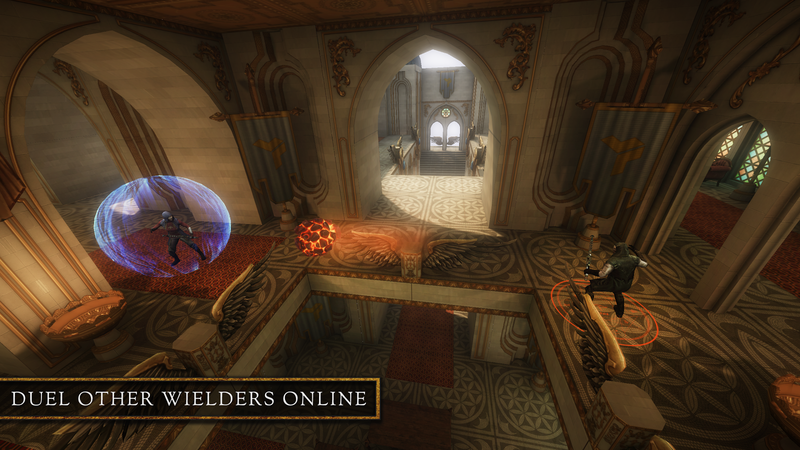 Luckily the Victorian setting and immersive atmosphere make for a gorgeous and fully realized game. 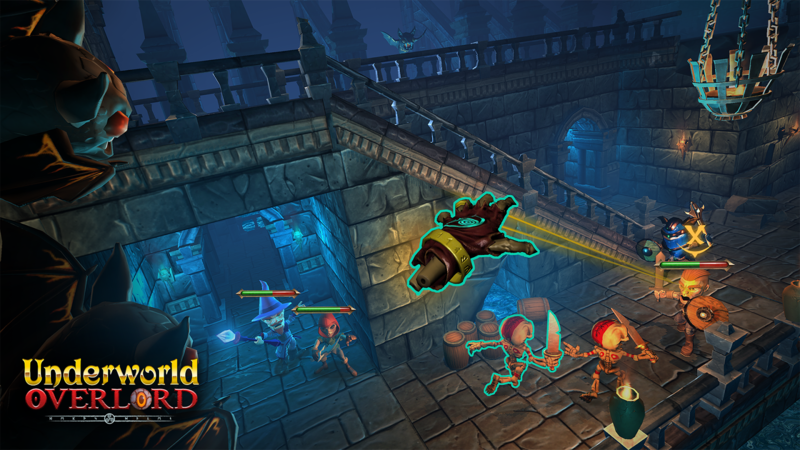 Action Packed Magic Duels - Competitive Gameplay - Spectacular Battle Arenas - Powerful Spells - Strategic Wand Loadout - Spectator Support. 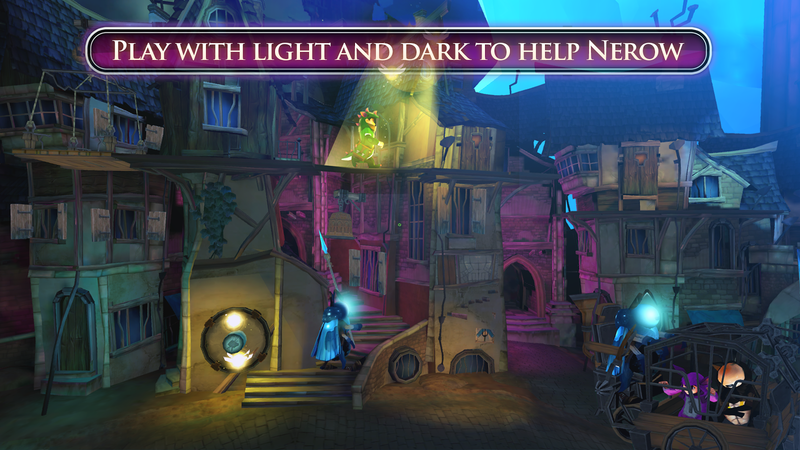 Take on the role as a mysterious Wielder in an alternate 1880's London. 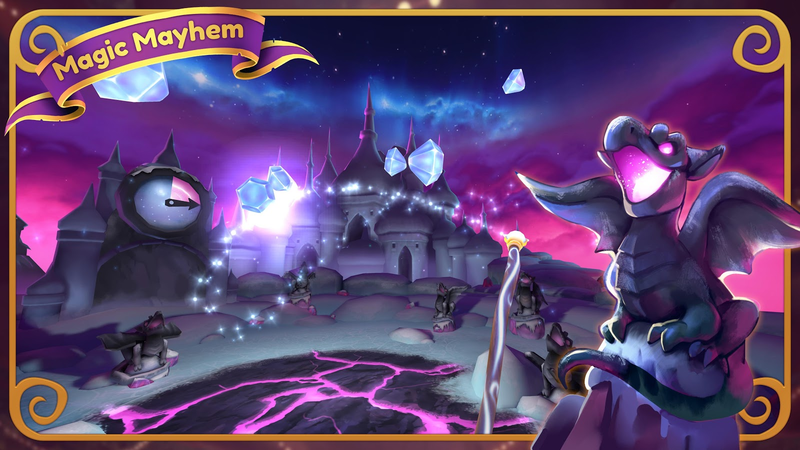 Equip your wand with a wide variety of spells and battle other Wielders for fame, power and glory in the fantastic realms of The Beyond. 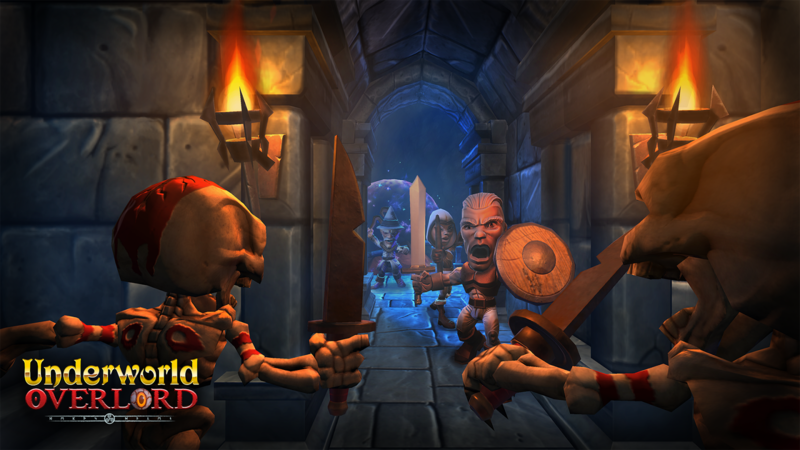 Underworld Overlord is something of a tower defense game, wherein players take on the mantle of a dungeon master. 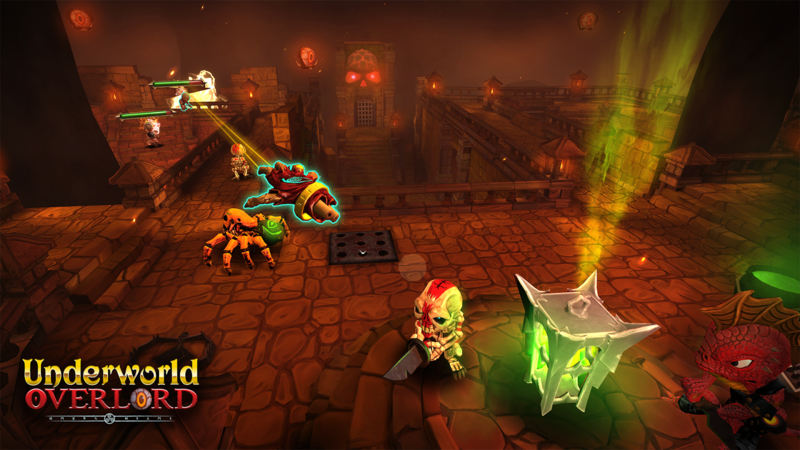 You get to set traps and ready monsters for would-be heroes as they storm your base. 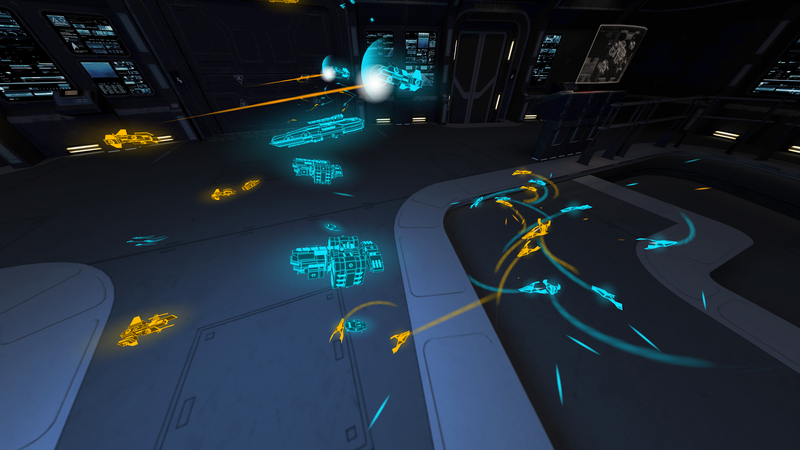 So sure, it may not use a completely unique idea, but the fact that such a fun title exists in VR makes up for the familiarity of the gameplay. As a newly-undead Lich, protect your dungeon realm from brazen adventurers who attempt to rob your treasures and slay your precious monsters. 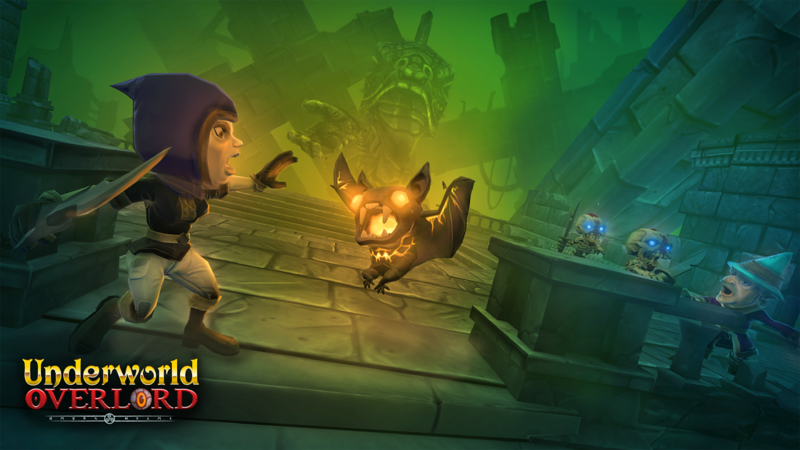 As master of your domain, direct your monsters into the fray, place deadly traps and defenses, and cast spells that help or hinder. 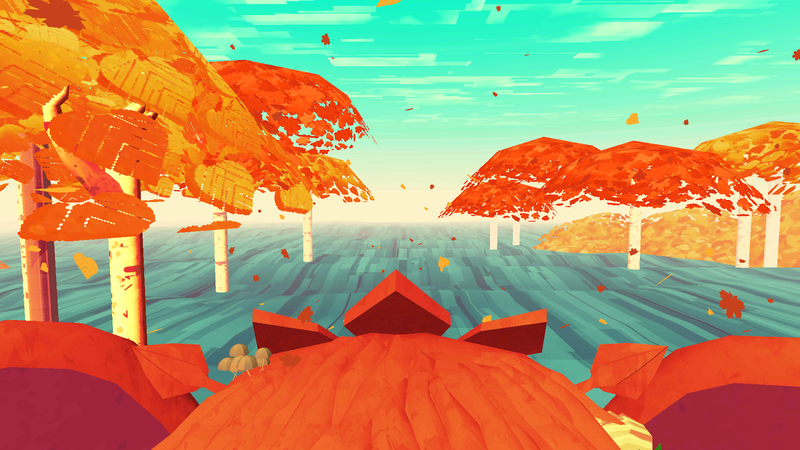 So Let Us Melt isn't quite a game in the most classic sense of the word, but it is a beautiful experience regardless. It most definitely is narrative heavy, not that that is a bad thing either. 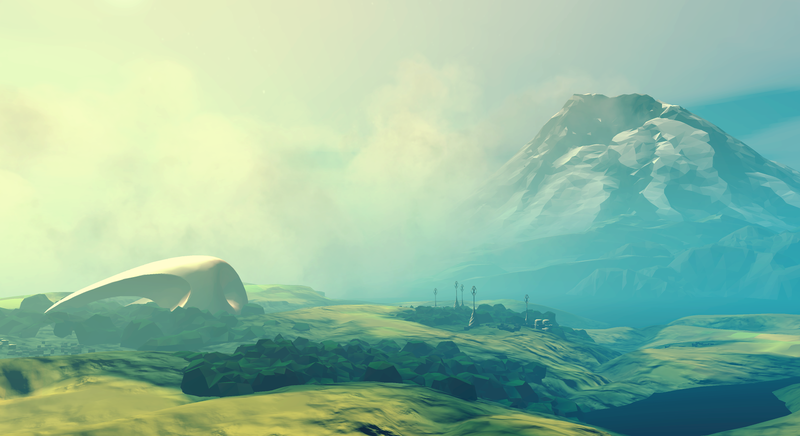 You travel through the world of Kenopsia, exploring incredibly beautiful environments such as swamps, mountains, oceans, and cities. While I don't want to give away too much of the plot, this is a story about love and duty, and about the wonder of caring for things and helping them grow. 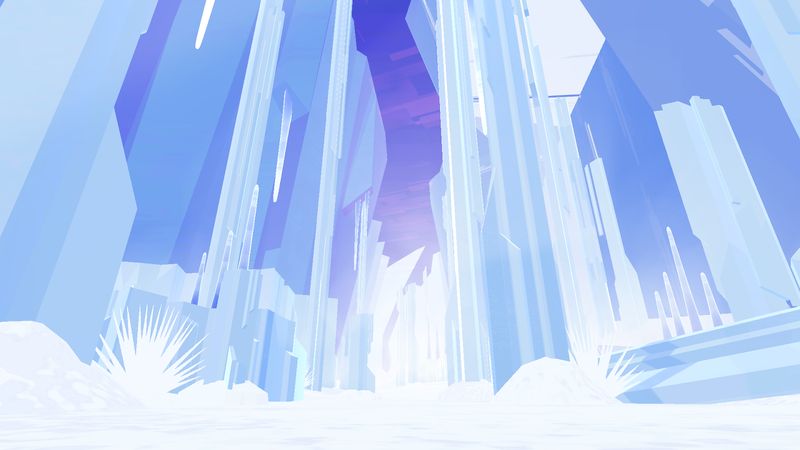 Deep below the ice in Polar City, everyone is asleep. 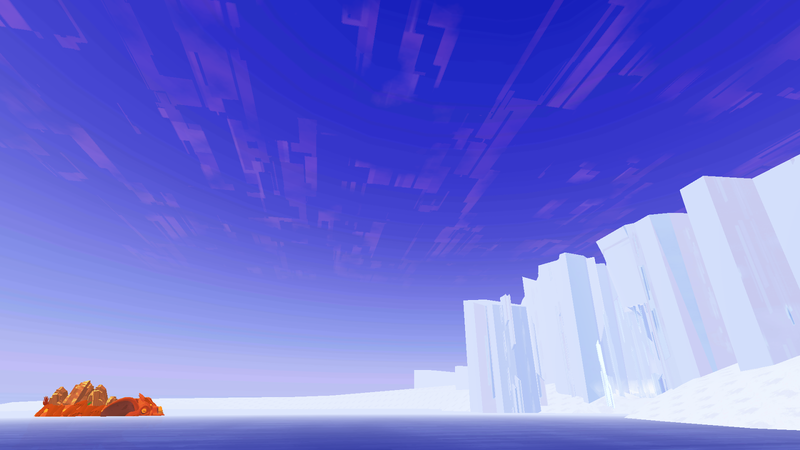 Up on the surface of Kenopsia, the Custodians are busy making a world. For the next four million years they will be creating a paradise for the sleepers; living machines made to sculpt a perfect garden. If you couldn't tell by the name of the title, Bait! 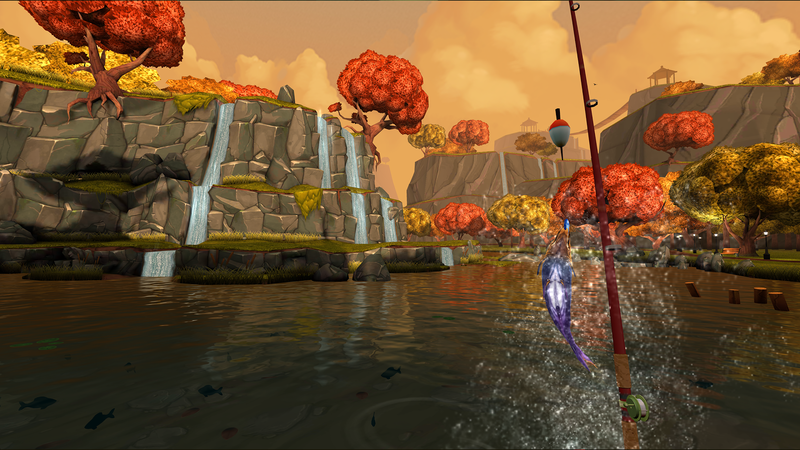 is a virtual reality fishing game. 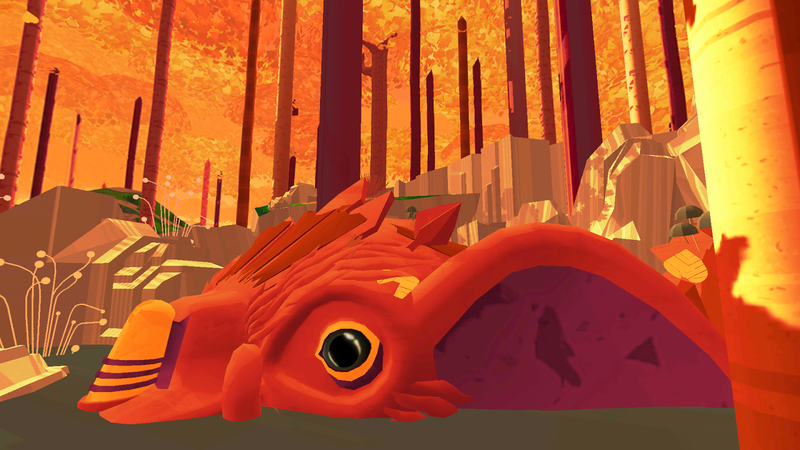 You get to experience what it is like to catch rare fish and save the struggling aquarium where your VR representation works. 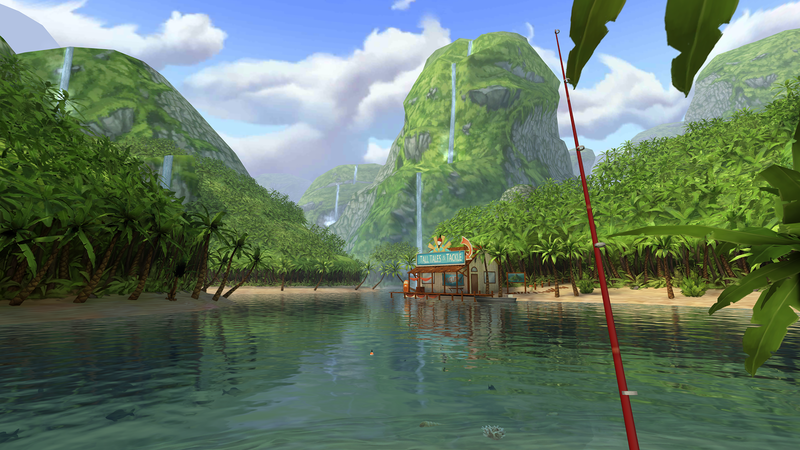 There are 5 different lakes to explore, and each has a distinct look and unique fish to reel in. 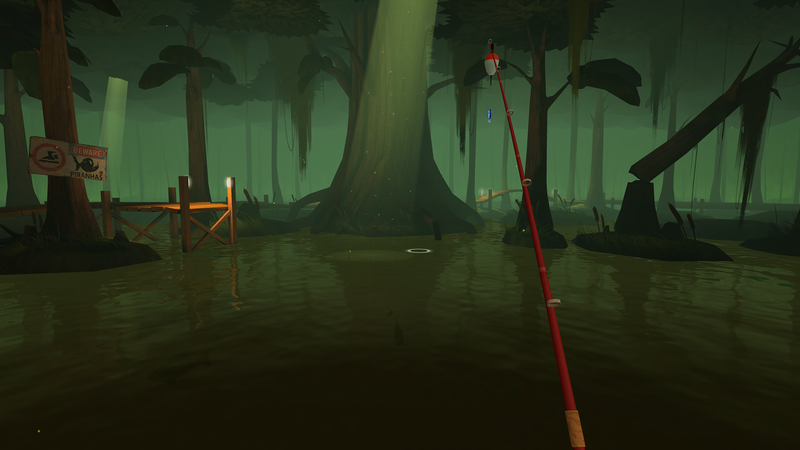 Oh, and your Daydream controller acts as a virtual fishing rod, which serves to make the experience that much more realistic. You have come to Bait. 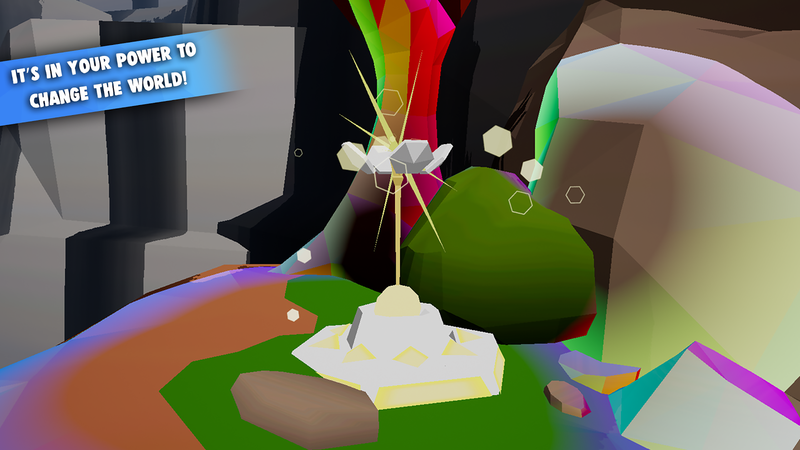 Island to help your boss catch a rare fish, and thereby save the struggling aquarium where you work. 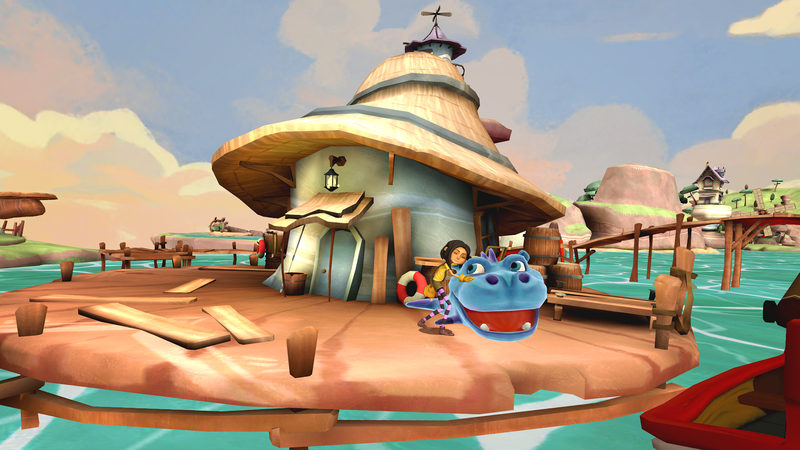 During the game, you will catch a lot of different fish and make friends with the locals. Will you be able to keep your loyalties both to your new friends and to your boss? 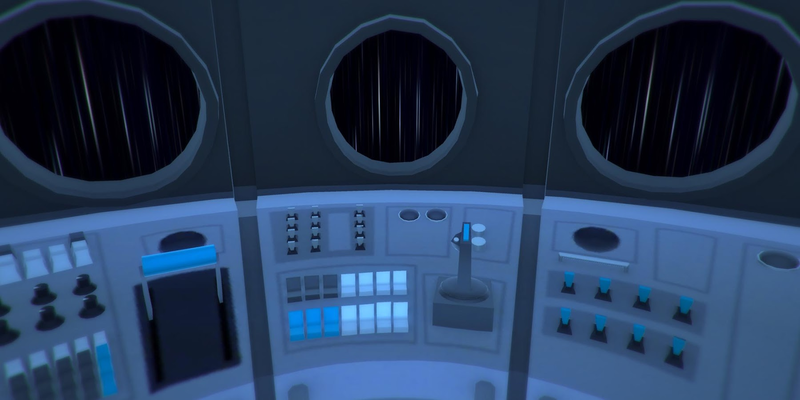 Virtual Virtual Reality takes the concept of virtual reality and turns it meta. 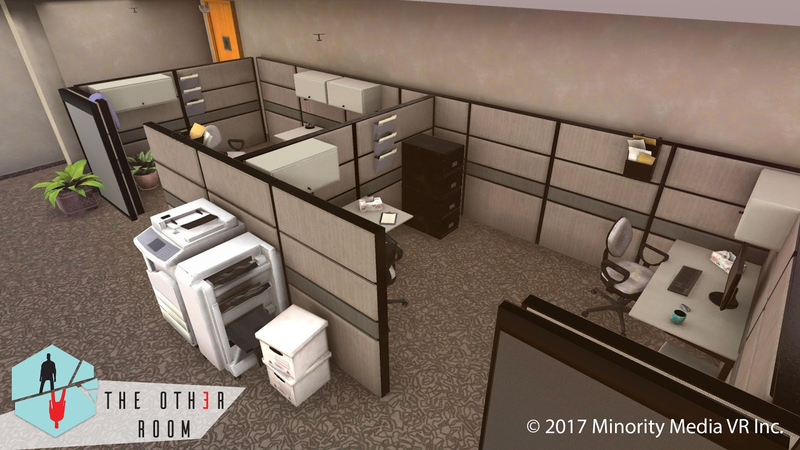 In order to escape your virtual work world in this VR game, you put on a virtual VR headset to experience what VR is like while in VR. Confused yet? 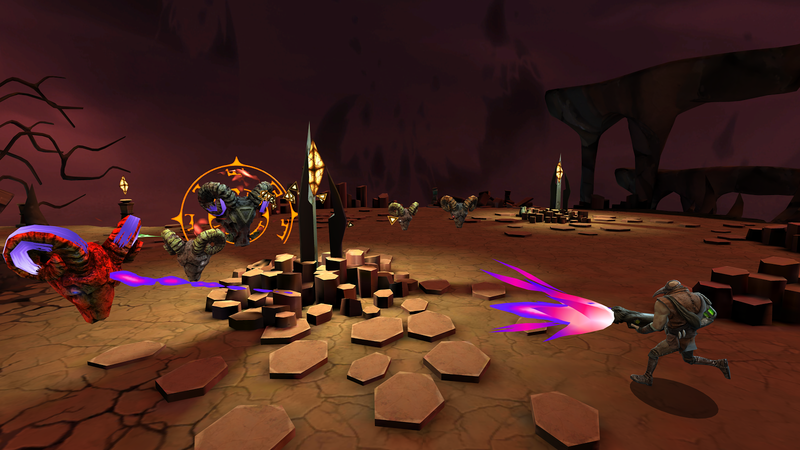 It's definitely a unique concept, and it can be quite fun to experience the two drastically different worlds in this game as you jump back and forth from virtual reality to "virtual" virtual reality. 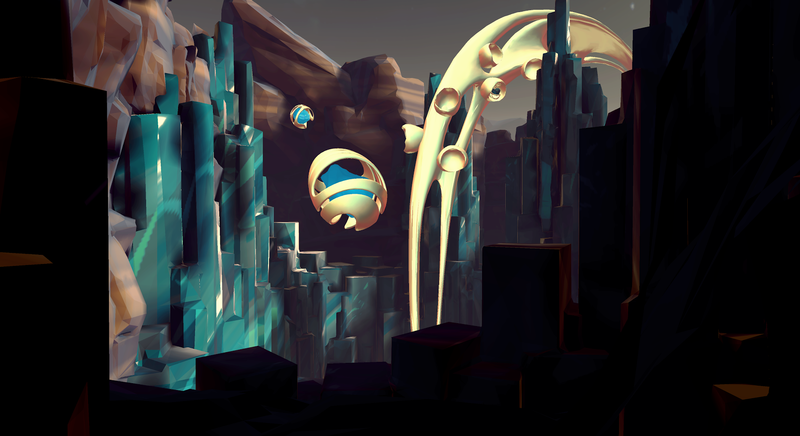 Eclipse: Edge of Light is a jaw-droppingly beautiful game that lets you explore a sentient alien planet. As you venture forward you will discover the remains of a betrayed civilization, and it is your job to solve the mystery of what happened and why. 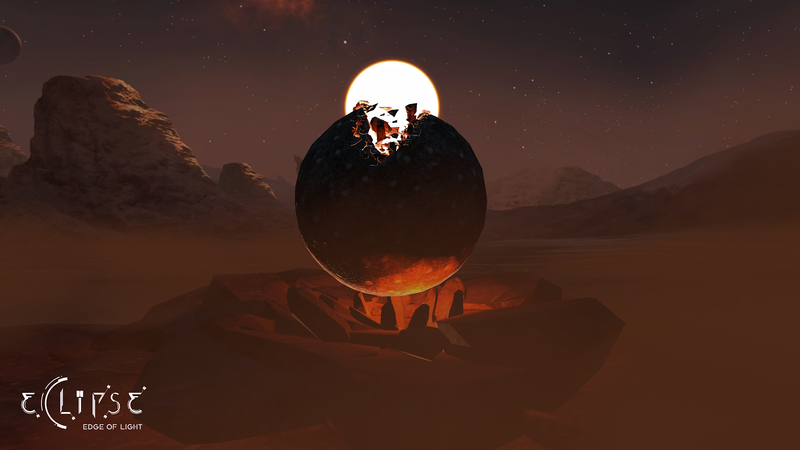 The world is fascinating and memorable, which makes Eclipse: Edge of Light one of the best games on the Daydream platform to date. 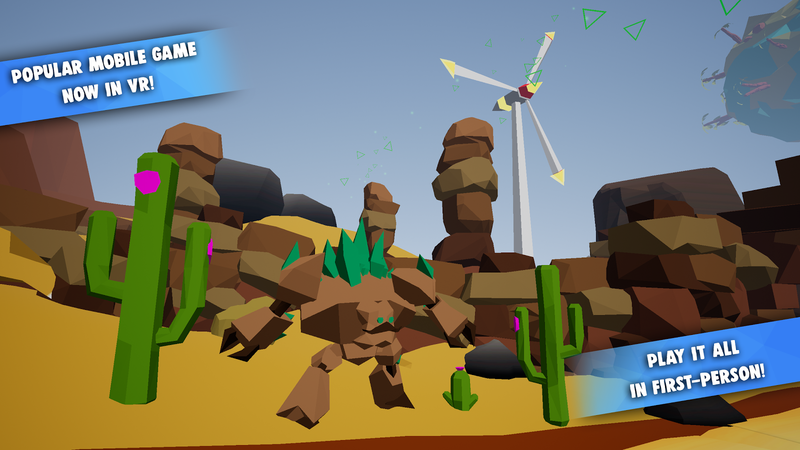 Crash-landed on a sentient planet, you awake to discover a dreamscape world, filled with alien wonder and the remains of a betrayed civilization. You find a powerful relic, the Artifact, that can interact with ancient technology and grant you near-magical powers. Just what secrets does the planet harbor? Remember the tense bomb diffusing scene from just about every action movie ever made? 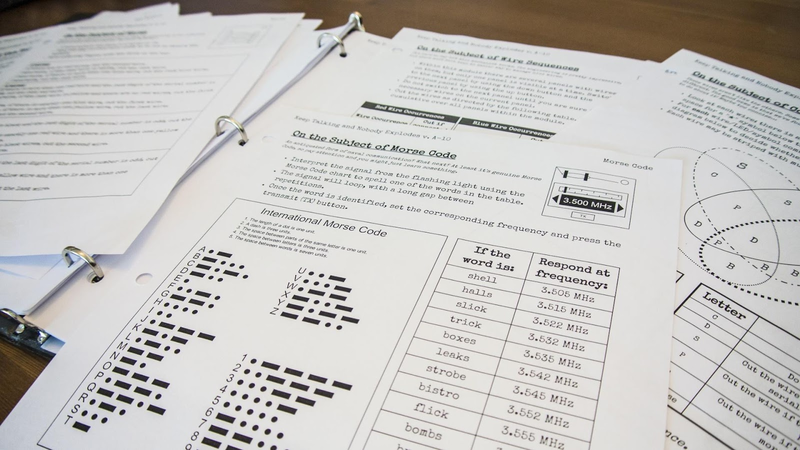 Keep Talking and Nobody Explodes is that scene made into a Daydream video game. 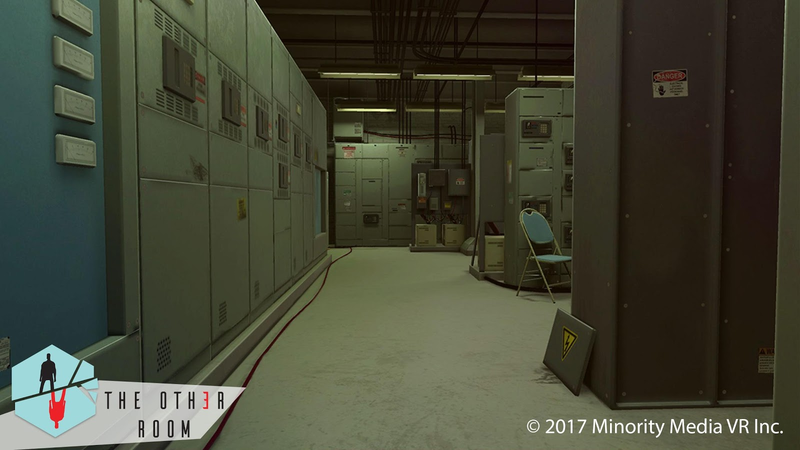 It works by having one player who wears the Daydream headset while they try to follow the instructions of the other players who have the manual for diffusing the bomb. As you can imagine, things will undoubtedly get more and more complex and stressful as you advance. 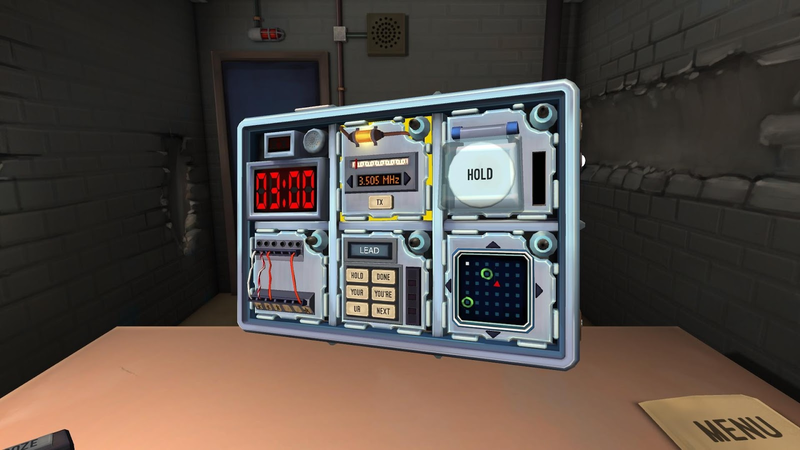 In Keep Talking and Nobody Explodes, one player is trapped in a virtual room with a ticking time bomb they must defuse. The other players are the “Experts” who must give the instructions to defuse the bomb by deciphering the information found in the bomb defusal manual. 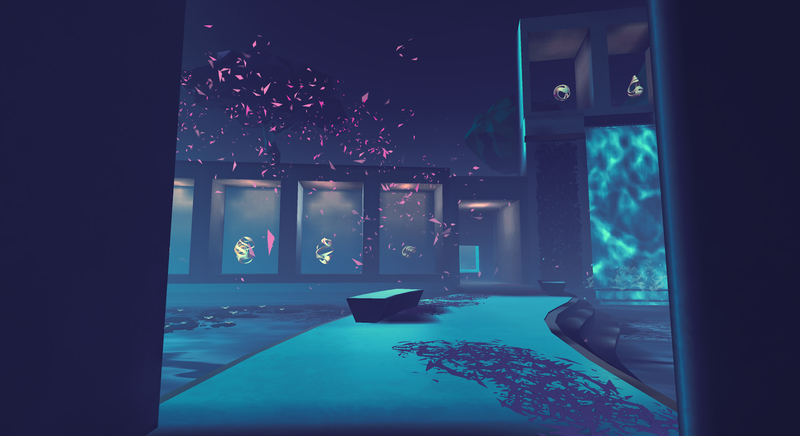 Along Together is a puzzle adventure game that allows you to interact with an amazing 3D world through your Daydream controller and headset. 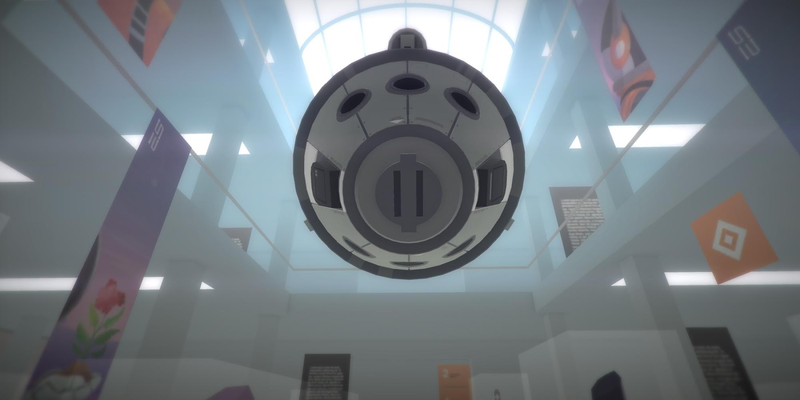 You are in control of a companion who is accompanying the game's protagonist through a handful of beautiful and interactive environments with the goal of reaching the end of each stage by solving the title's ever increasingly tricky puzzles. In Along Together, you are a kid's imaginary friend: their invisible companion when there’s no one else around, and their guardian when things get dangerous. 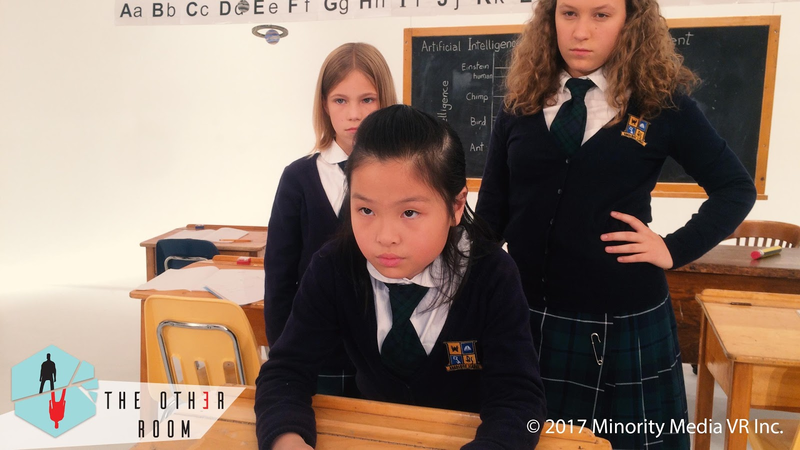 When the kid’s best friend in the real world goes missing, the two of you venture out to find them. 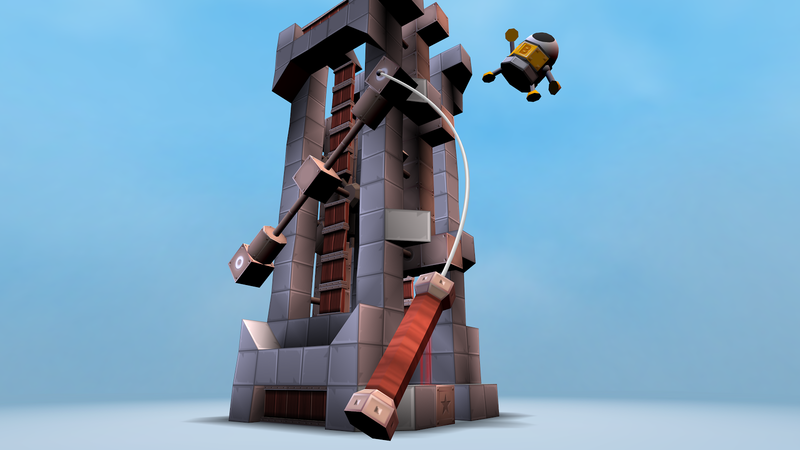 Use the Daydream controller to lift trees, move boulders, and power incredible machines. 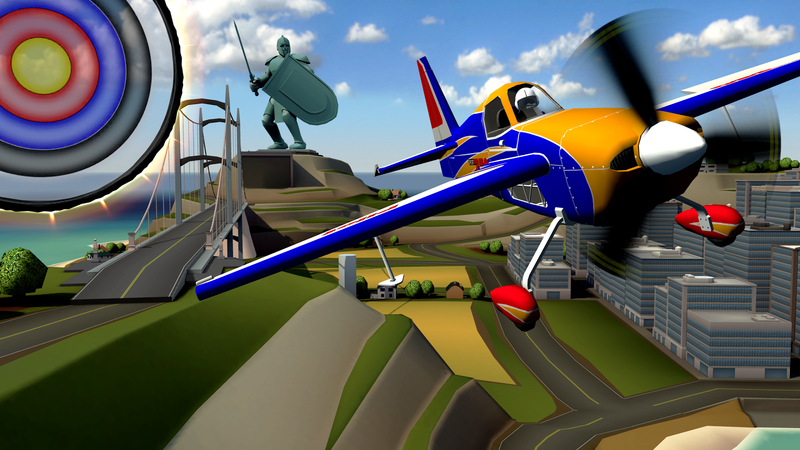 Ultrawings is a colorful virtual reality Daydream game that has you flying a few different aircraft in order to complete a ton of exciting missions. 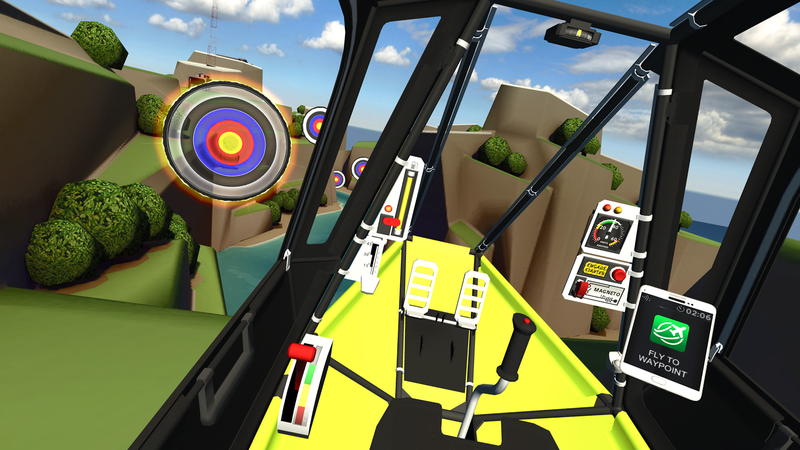 Much like any arcade aircraft game, Ultrawings offers a lot of variety in its mission-based structure. 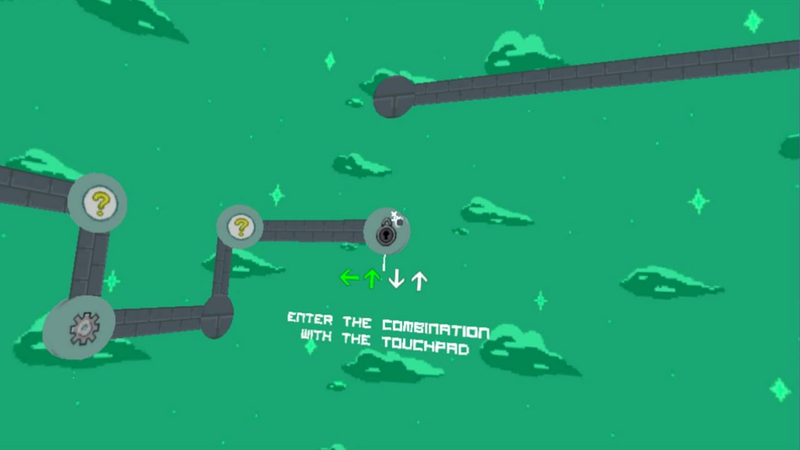 Flying through rings, popping balloons, and performing difficult landings are just some of the gameplay elements you can expect to play through. 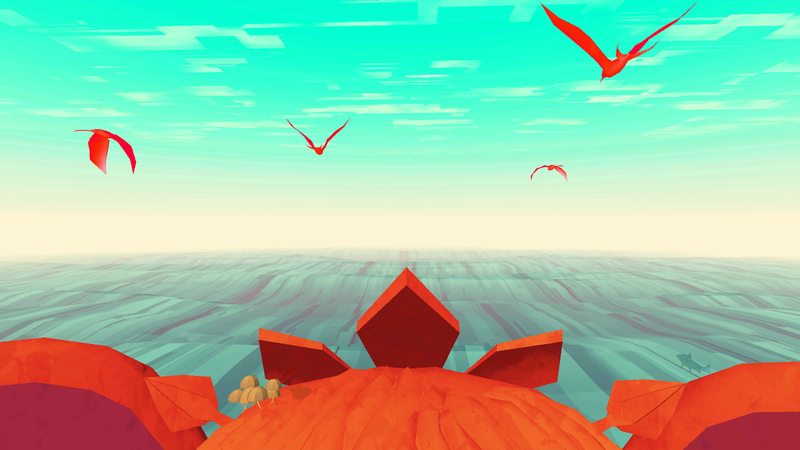 The ultimate VR flying game comes to Daydream. In Ultrawings, you'll pilot multiple aircraft to complete tons of missions while soaring around beautiful islands. 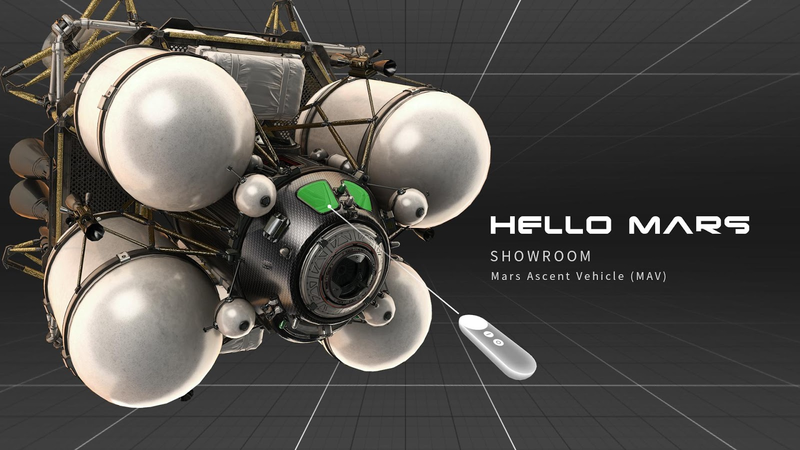 Full support for the Daydream controller for the most immersive flight game available on mobile VR. 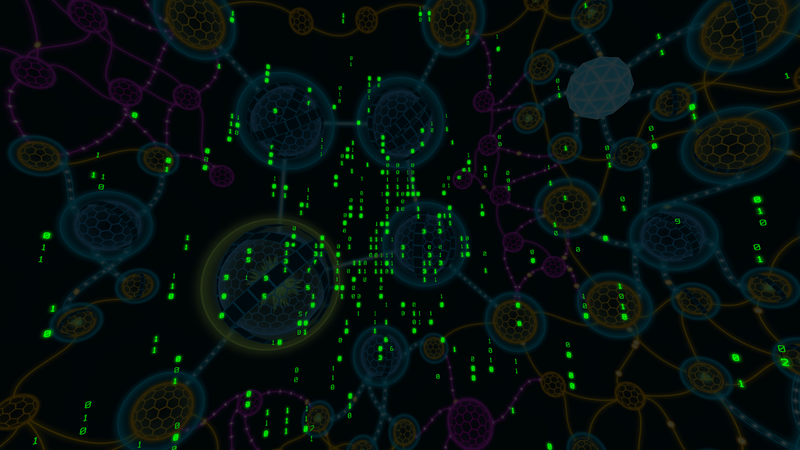 Darknet employs an interesting take on what it is like to be a hacker. Of course, it isn't anything close to reality, but that doesn't make this a bad game. 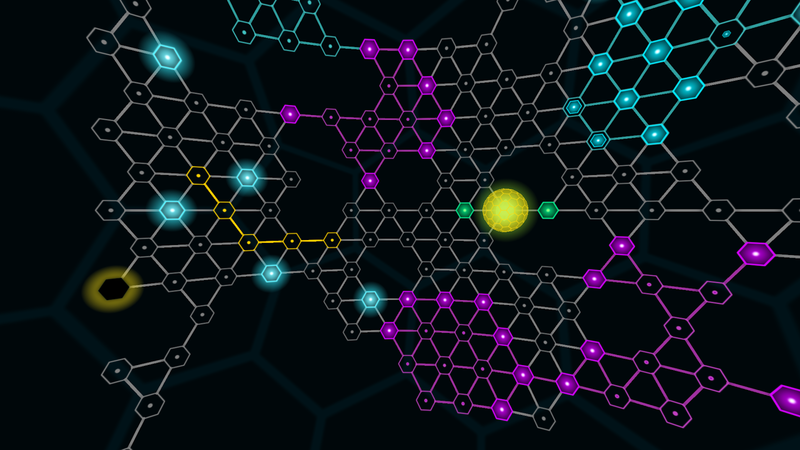 To the contrary, Darknet is an enjoyable strategy-based puzzle game that lets you become an elite hacker. 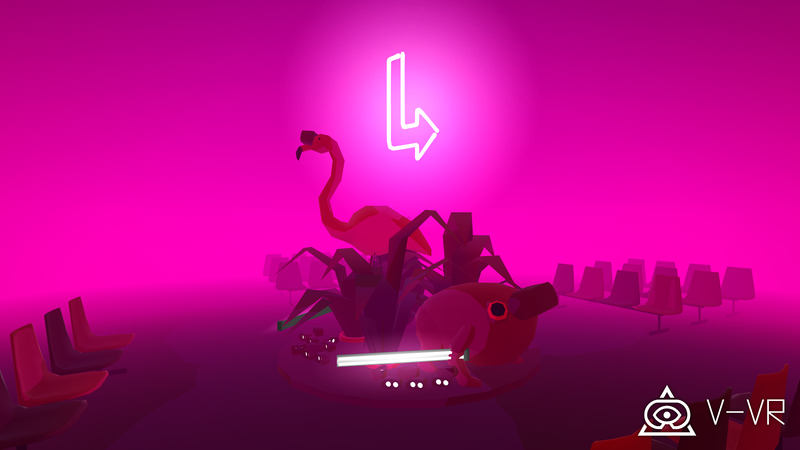 As you explore cyberspace you will partake in causing tons of mayhem with your arsenal of worms, viruses, and other exploits, all in order to steal some much-needed data before you get caught. 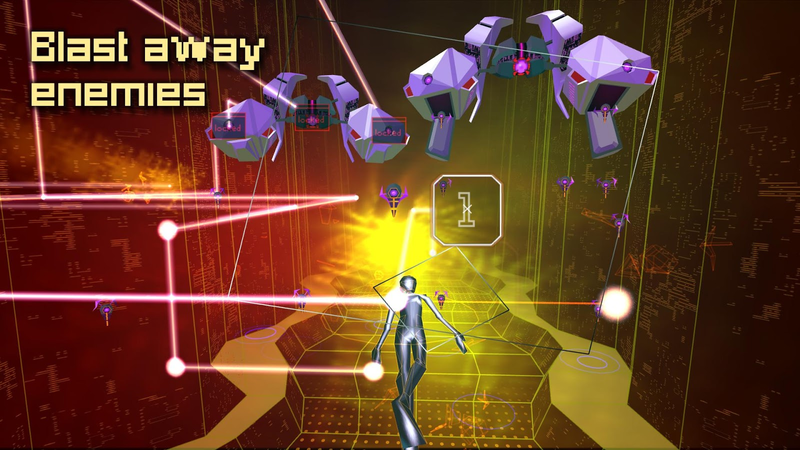 Enter cyberspace. Become a hacker. 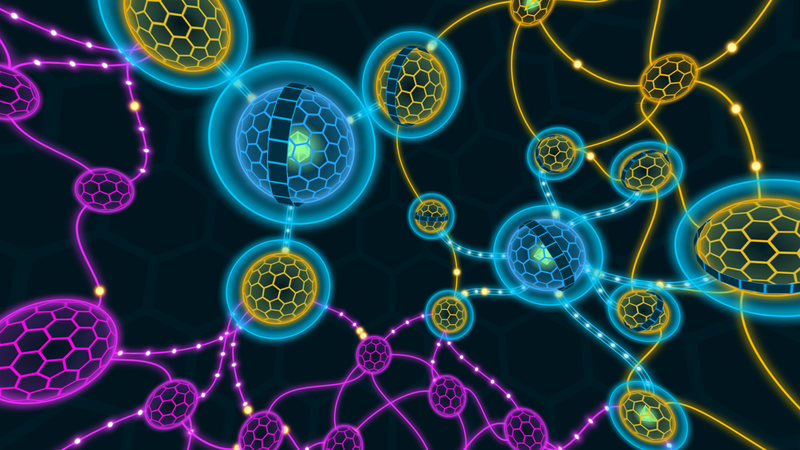 Darknet is a strategy/puzzle game in which you play as an elite hacker in the Net. 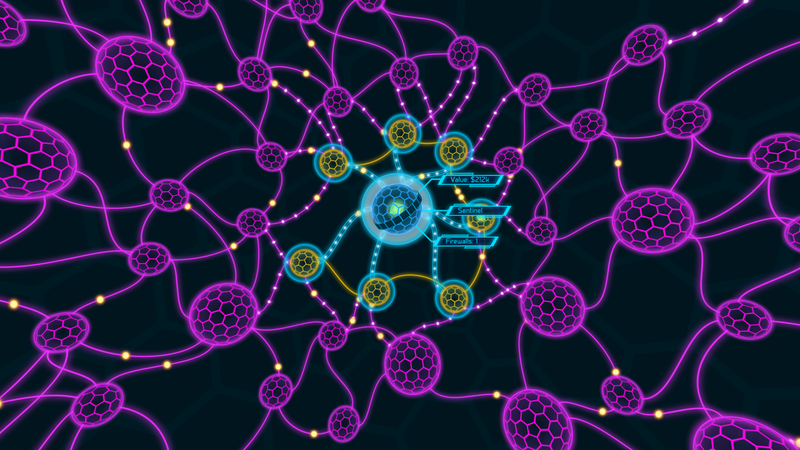 Plug into cyberspace, using viruses, worms, and exploits to steal the data before your signal gets traced. 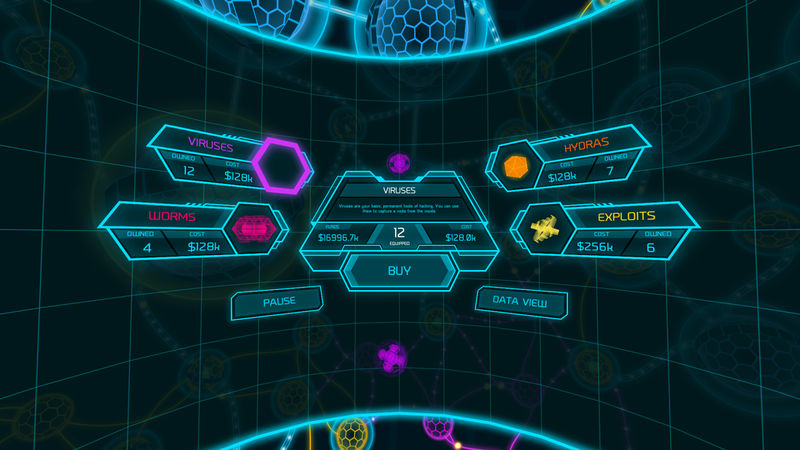 Designed exclusively for VR, Darknet was inspired by cyberpunk classics. 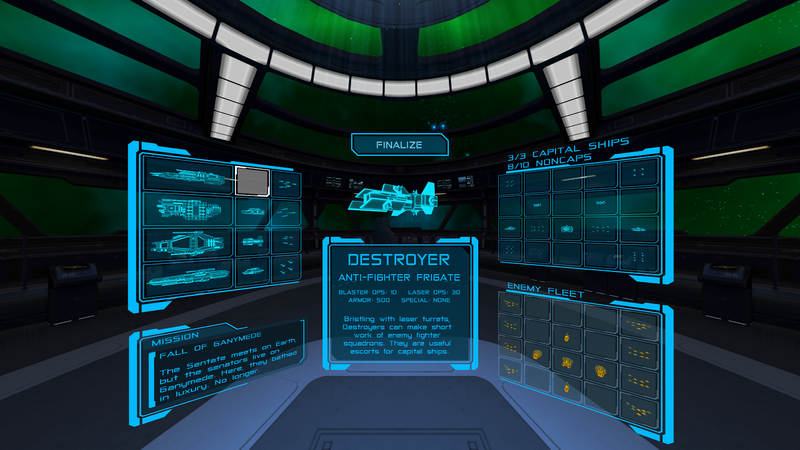 Skylight tasks you with controlling massive space battles from the comfort of the bridge of your VR spaceship. 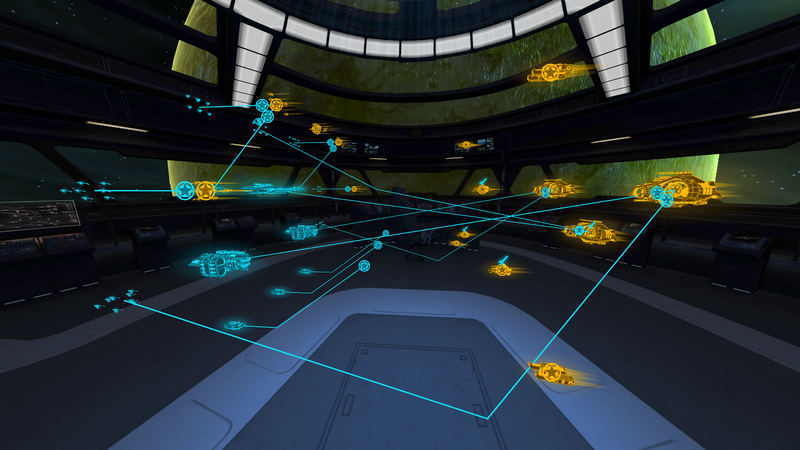 That's right, you get to command a fleet of ships throughout this game's 36 campaign missions. 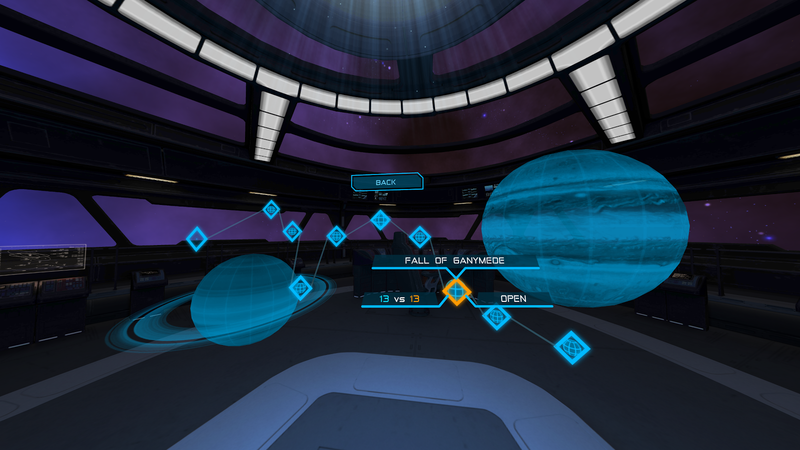 Plus there is a multiplayer mode that can be played online, which is absolutely fantastic to see in any VR release. 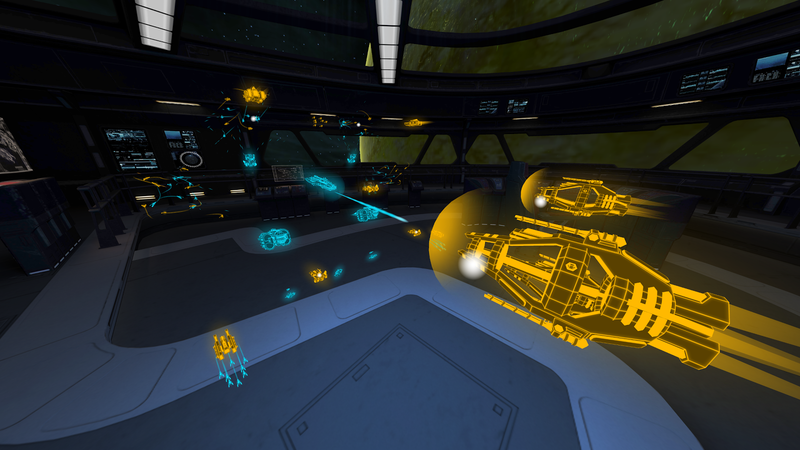 Skylight is a VR turn-based tactics game of colossal space battles. 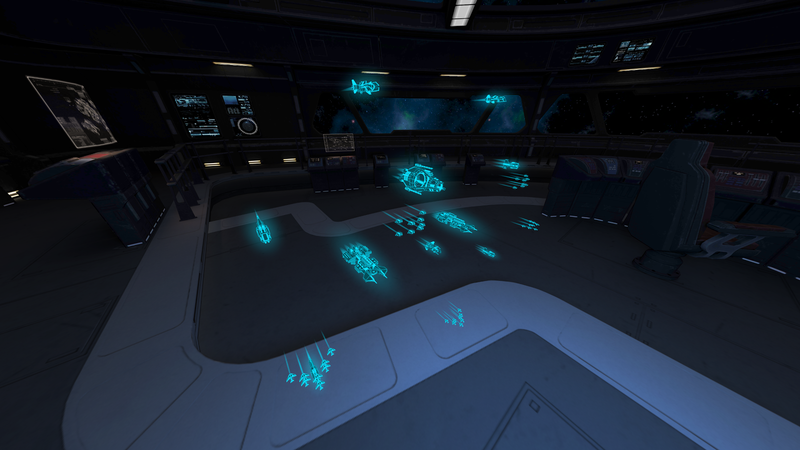 On the bridge of your flagship, a holographic projector shows your fleet floating in space, facing the enemy and awaiting your orders. 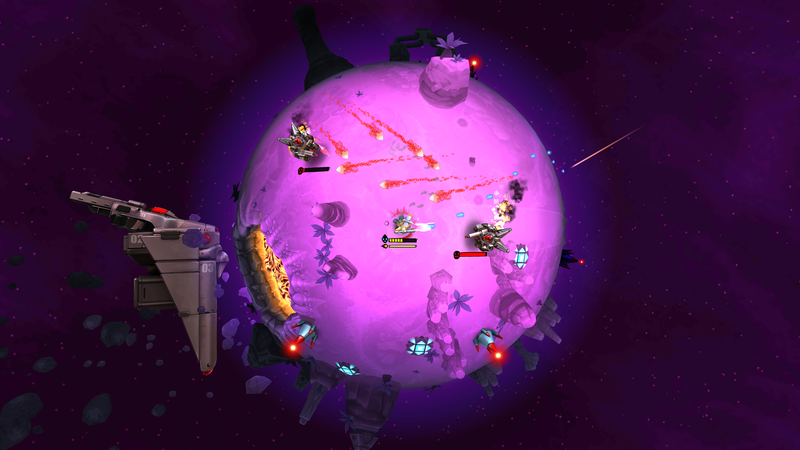 Command nimble squadrons of fighters, specialized frigates, and giant capital ships as you orchestrate your forces toward victory. 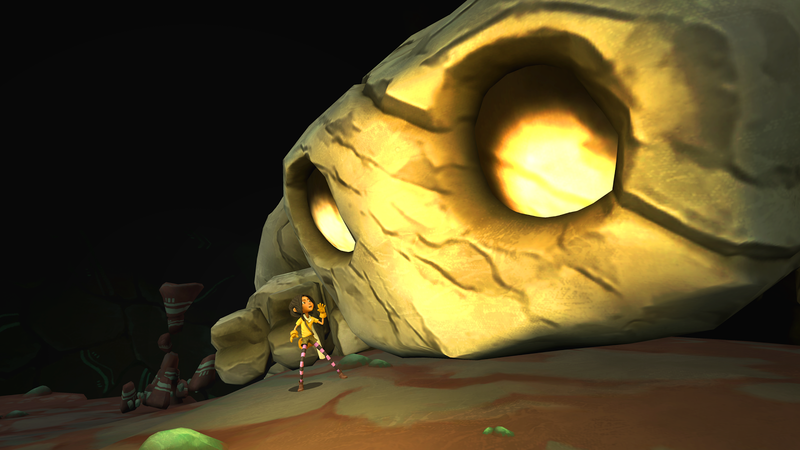 Lola and the Giant is a puzzle adventure game that allows you to easily switch from first to third-person view on the fly. 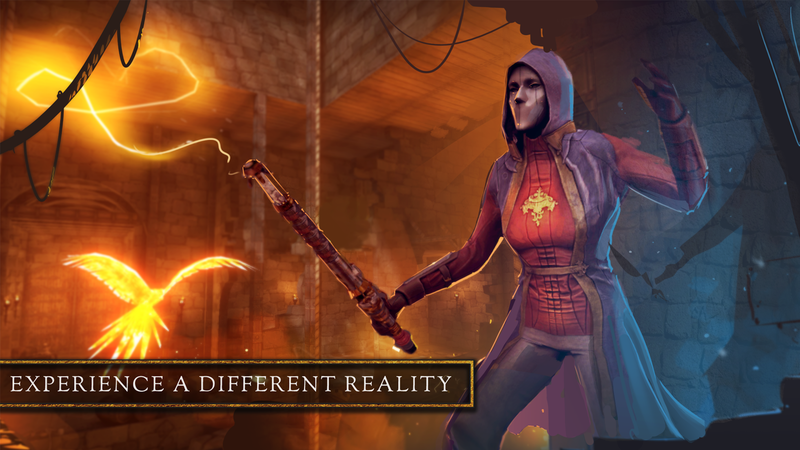 Essentially you are switching characters and their view of this fantasy world, thus opening up new ways to tackle every puzzle in the game. There is even a companion app on offer if you would like a friend to join along on their non-VR device. 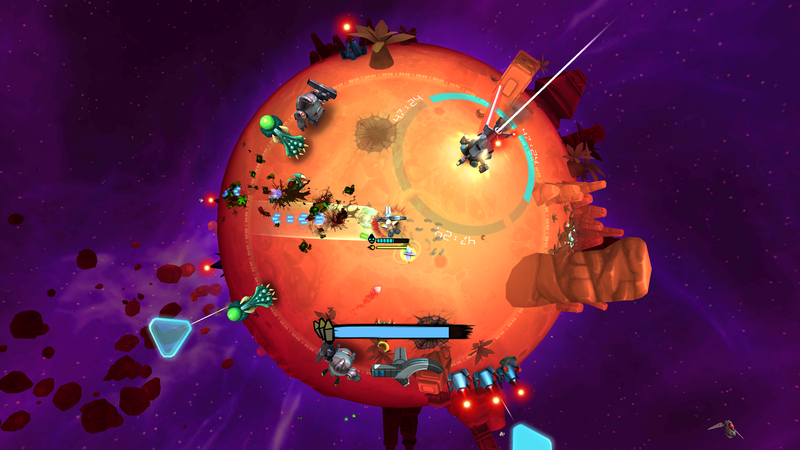 Battle Planet is a Daydream game that takes advantage of a roguelike format for its single-stick shooter gameplay. 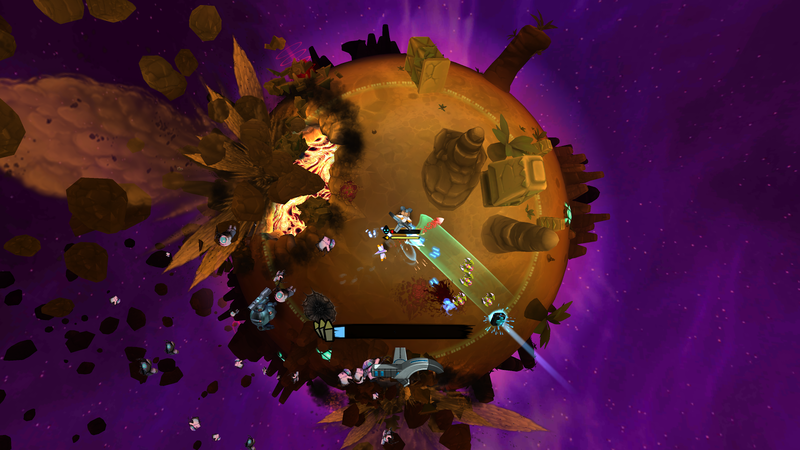 This one takes place on tiny micro-planets that lend a little dimension with the game's colorful 3D graphics. 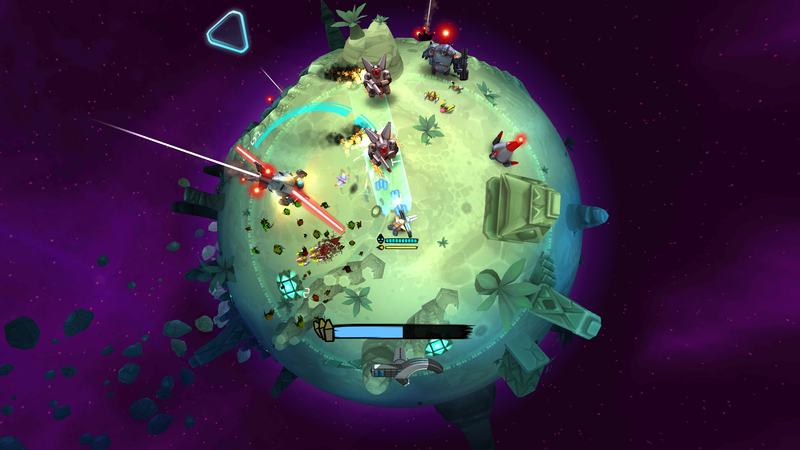 It is up to you to defeat an army of enemies on these planets by shooting your way to victory. 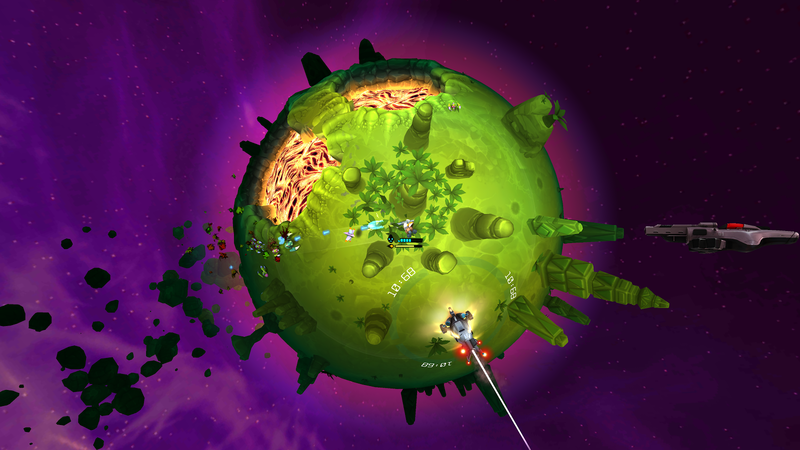 You're all alone on a micro planet in space when the deadly TERMINOIDS attack you from all sides. 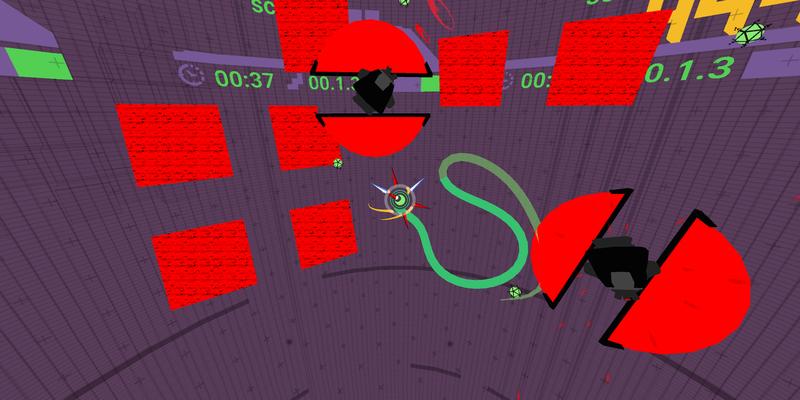 Now it's you against a gigantic army of enemies. 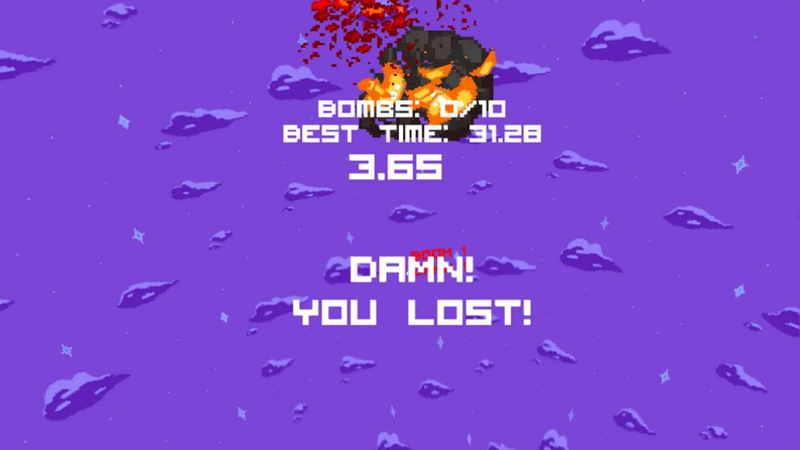 All that stands between you and death is your gun power and a bomb defusal drone. 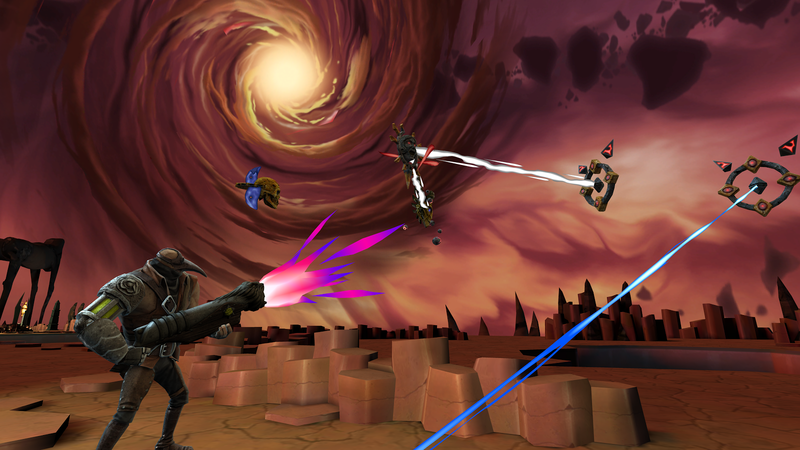 Experience a stunning looking rogue-like VR shooter with nonstop action. 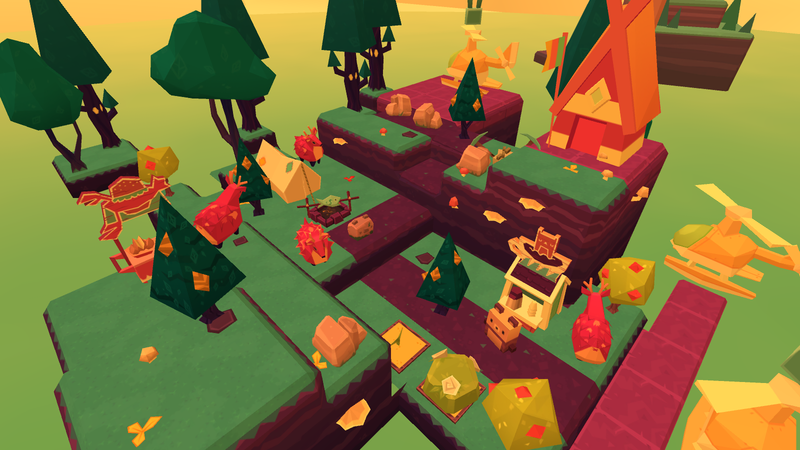 Beartopia is an interesting casual village builder that closely resembles Nintendo's Animal Crossing series. 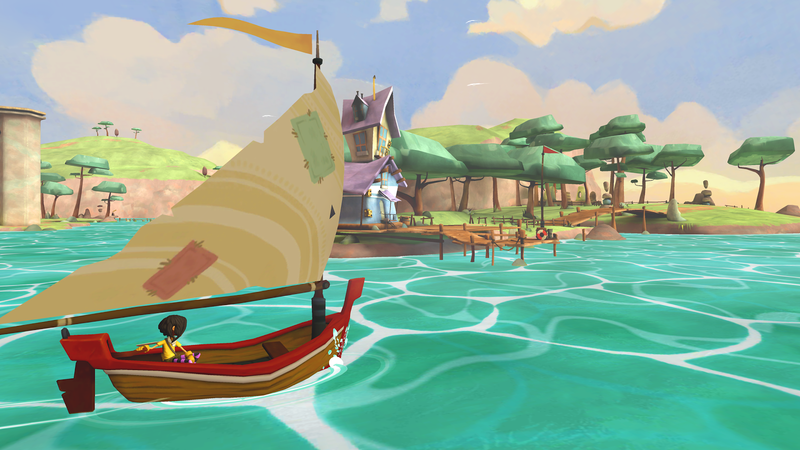 You befriend the animals living in a small village in order to help them and the town prosper. All in all, a quality offering for the Daydream platform for an often underrepresented genre. 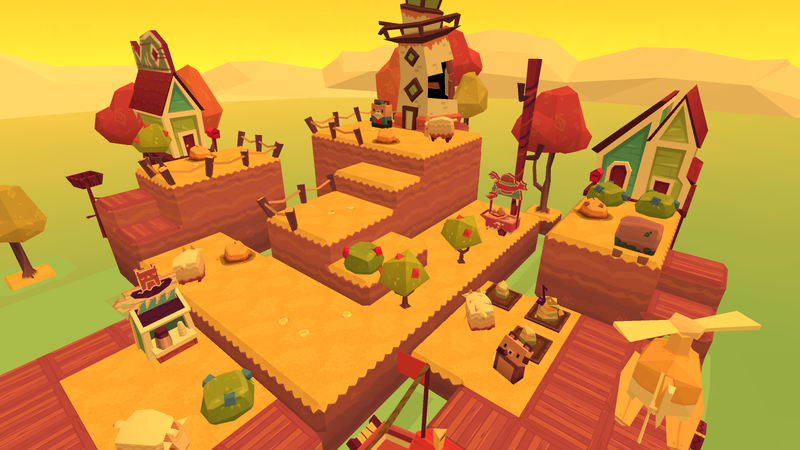 Beartopia is a multiplayer game where you can chat with friends, shear sheep, harvest fruit, and ultimately build a beautiful, bustling community. Meet the quirky villagers. They seriously need your help. Train your family of bears to earn money while you are away. 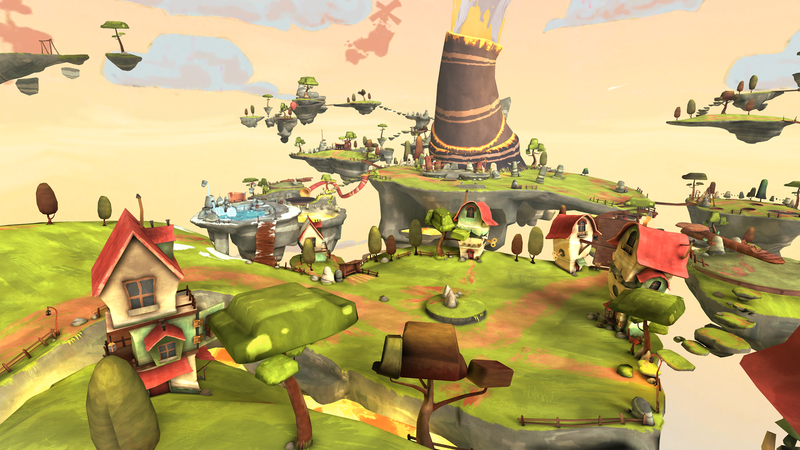 Wonderglade is a virtual reality theme park that lets you experience what it is like to play many of the carnival-themed games found at the majority of real-world amusement parks. From shooting hoops to playing mini-golf, there is an excellent range of activities to entertain yourself with. 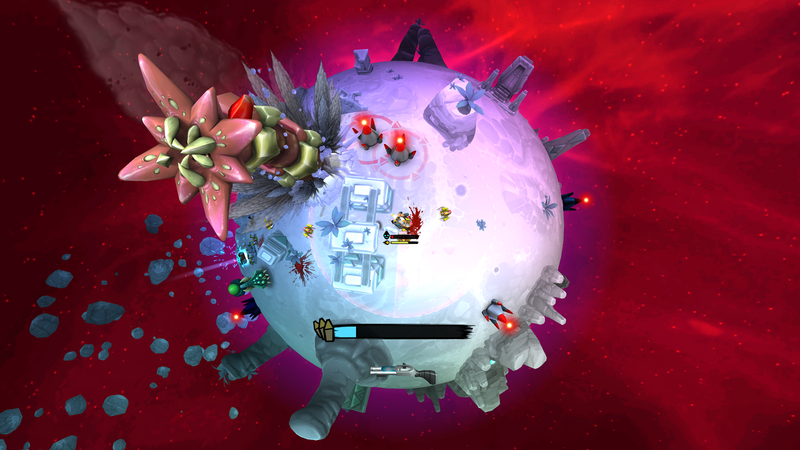 Of course, the silly theme and colorful graphics help to illustrate a lively environment that is a joy to spend time in. 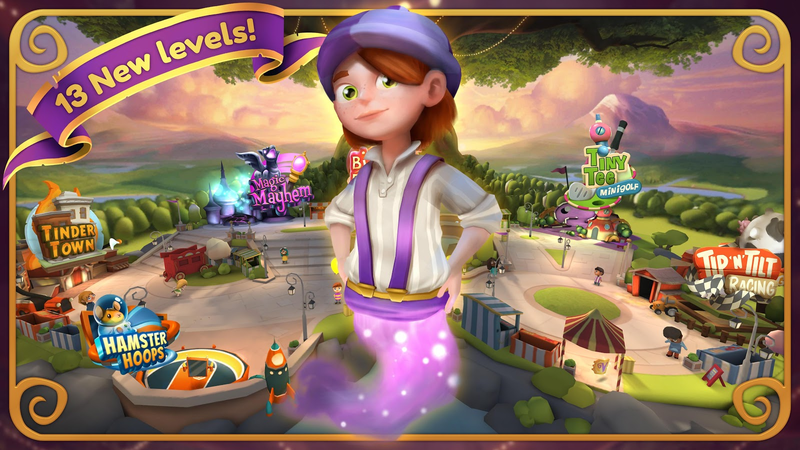 Wonderglade magically teleports you to an ever-growing theme park where you can enjoy carnival-themed classic games and totally new experiences with friends and family like never before. 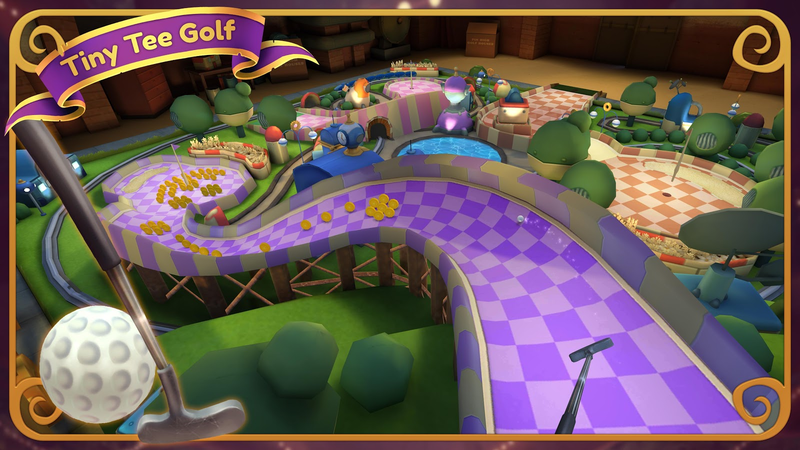 The game taps into the Daydream motion controller to add some hilariously entertaining moments for you and those witnessing as you putt, tilt, spray, spin and laugh your way through all the levels. 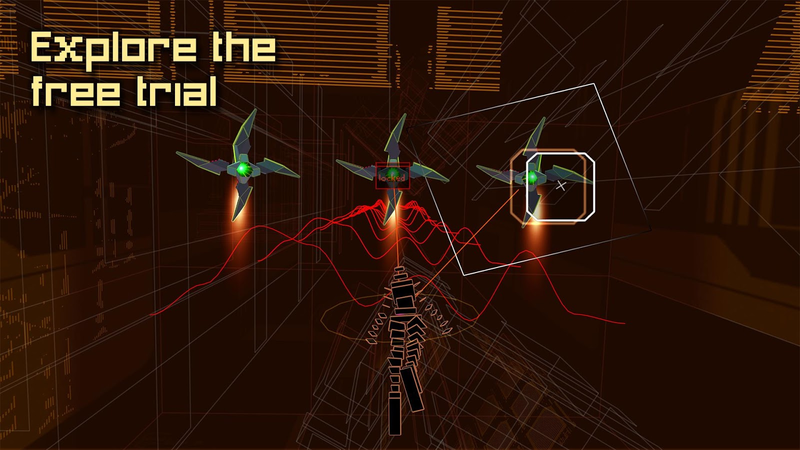 Last but not least we have Rez Infinite, a classic on-rails shooter that originally released for the Sega Dreamcast and Playstation 2. 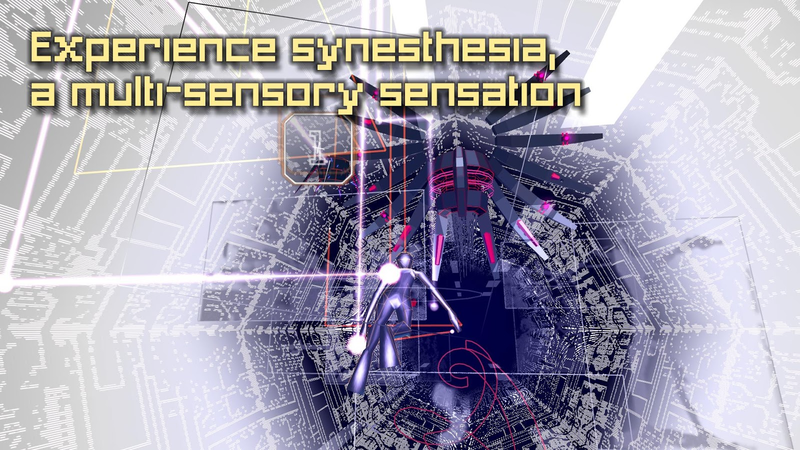 It has since seen quite a few ports, with Rez Infinite being the most recent. 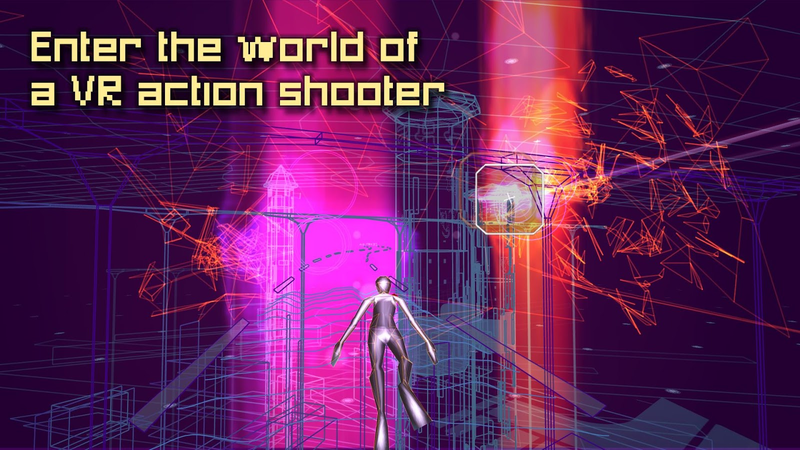 Honestly, this is one of my favorite on-rails shooters from the early 2000s, and the fact that it now exists as a VR title makes it all that much better. Definitely don't miss out on this one! 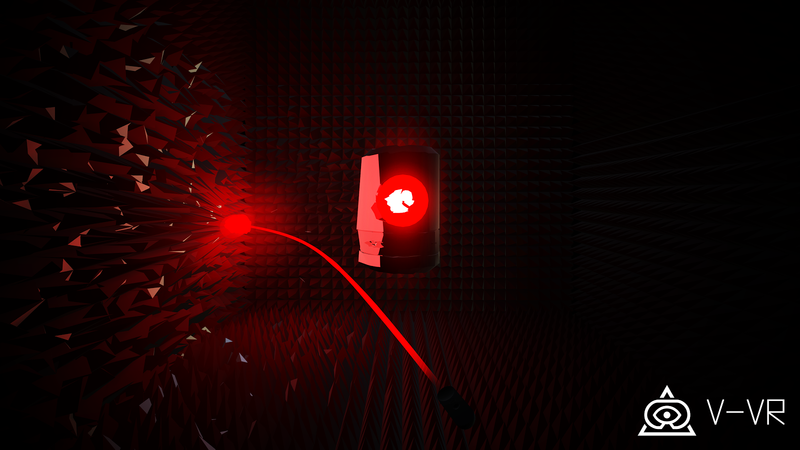 Rez Infinite must be seen—and heard—to be believed. (40+ awards & nominations.) Daydream Ready Headset & Controller is required to play. Free trial included. 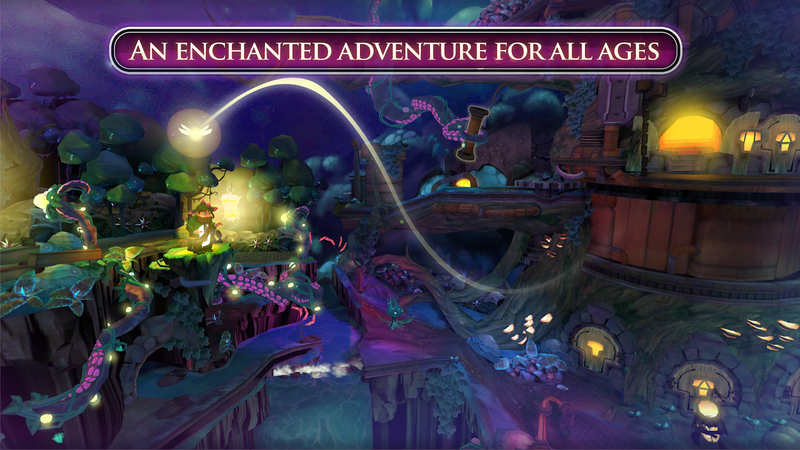 Unlock the full game to enjoy all of what the game has to offer. And that is the end of the list folks. I also plan on compiling a similar list for Samsung Gear VR, so all of you Gear owners should keep an eye out for that one. Also, if there is anything you feel should have been in this list, please feel free to drop a link in the comments below so other readers can check them out. Sharing is caring people!